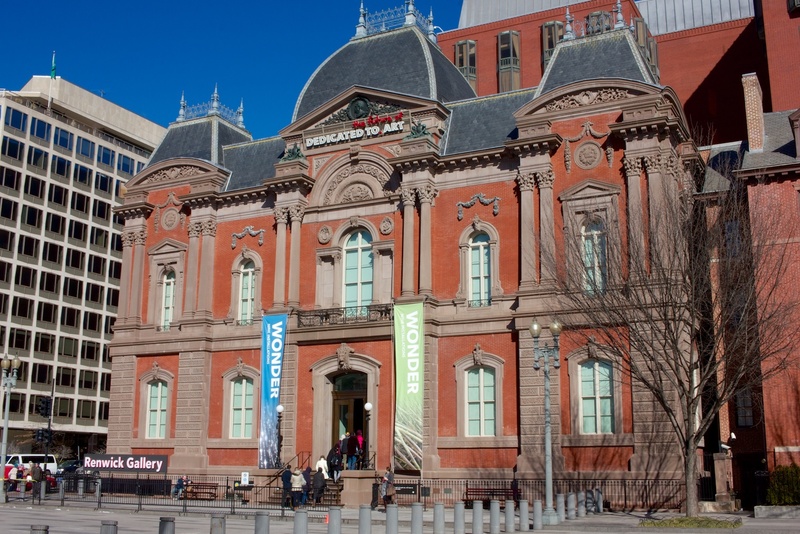 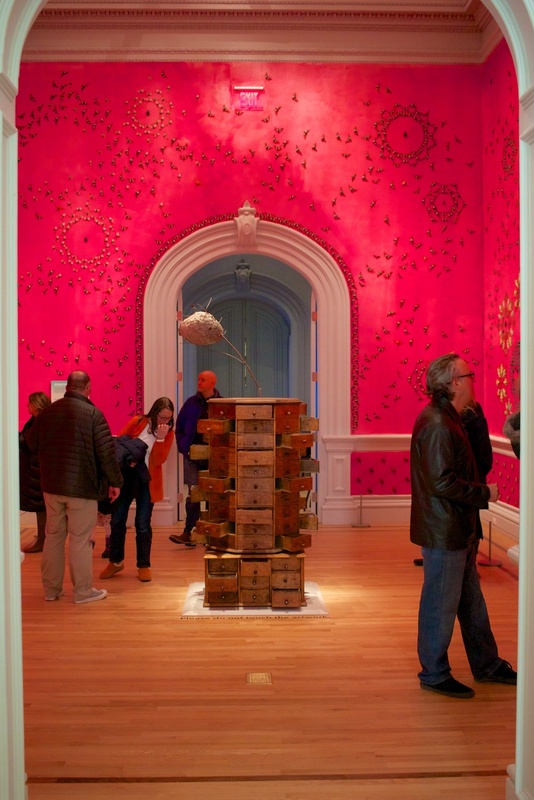 The Renwick Gallery is part of the Smithsonian American Art Museum, but since it is in a completely different location it gets its own entry. 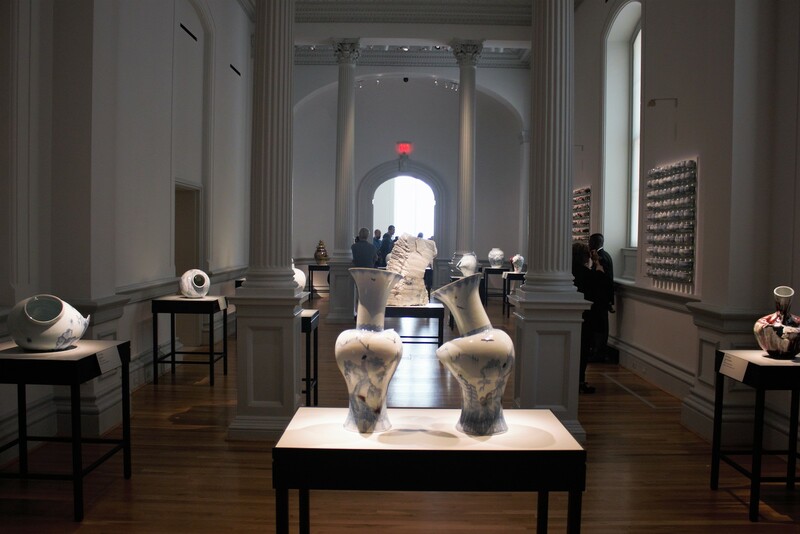 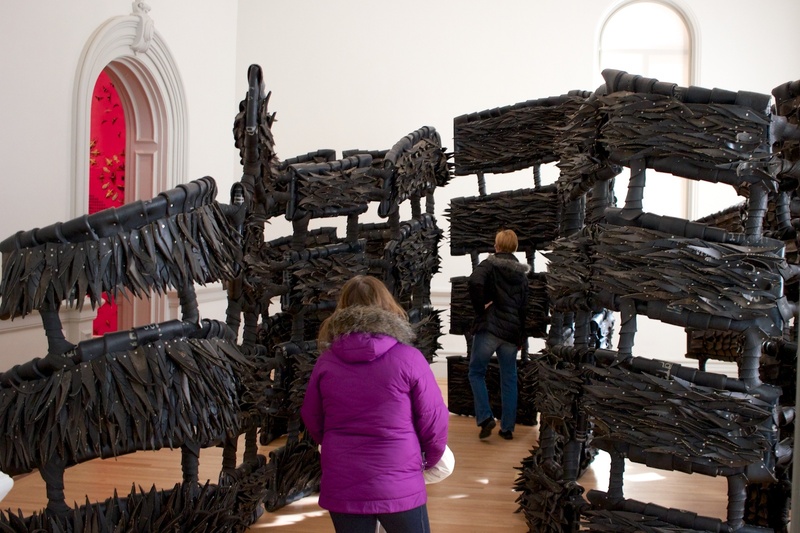 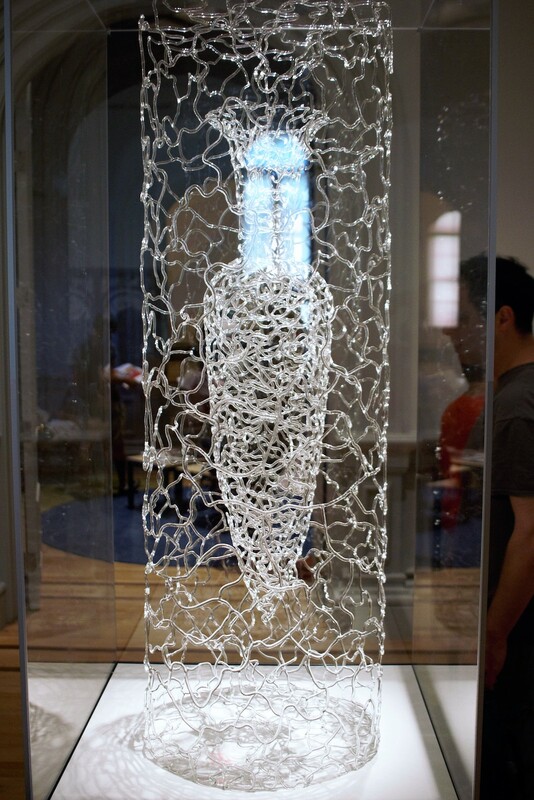 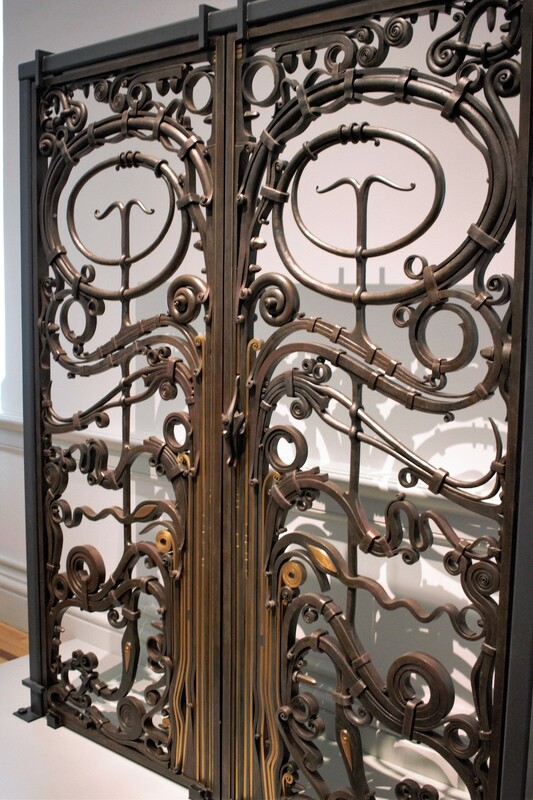 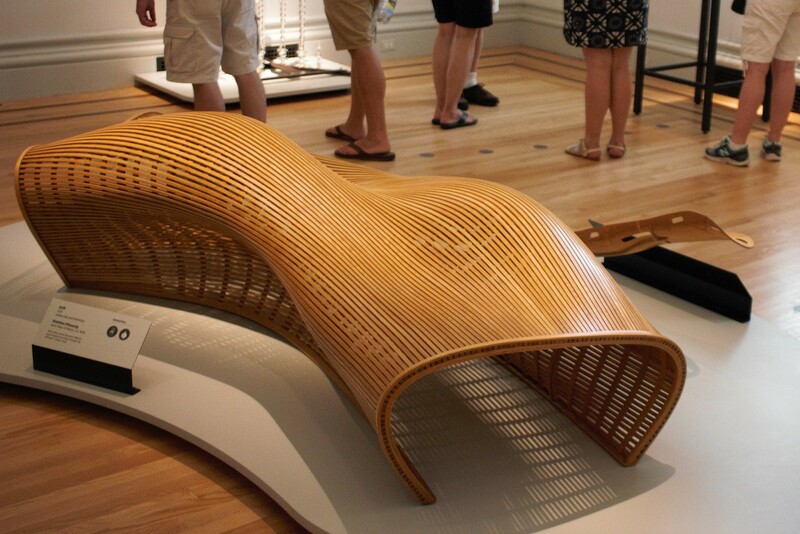 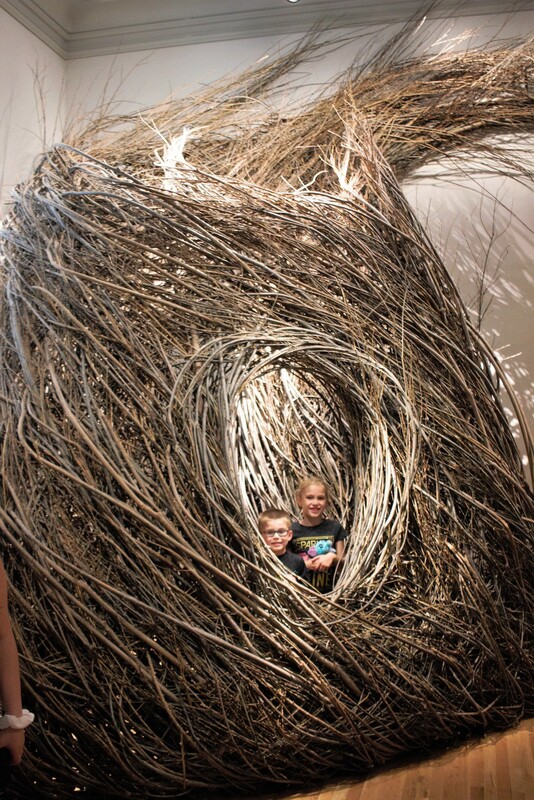 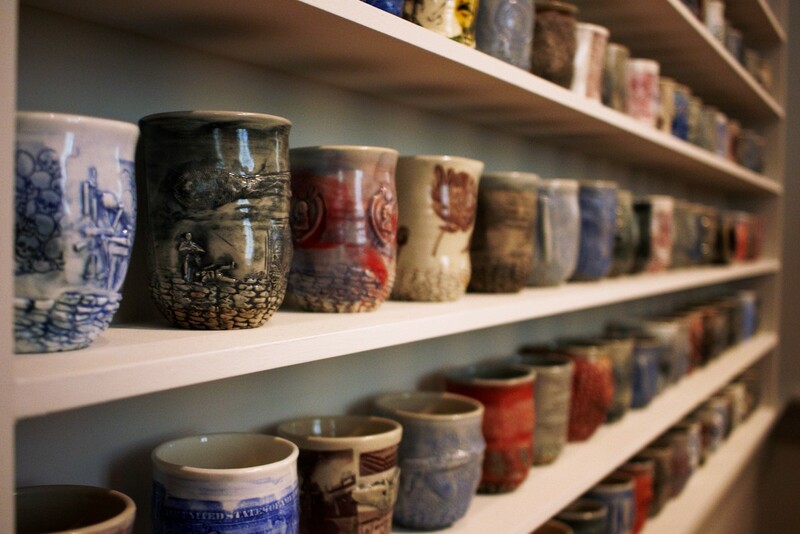 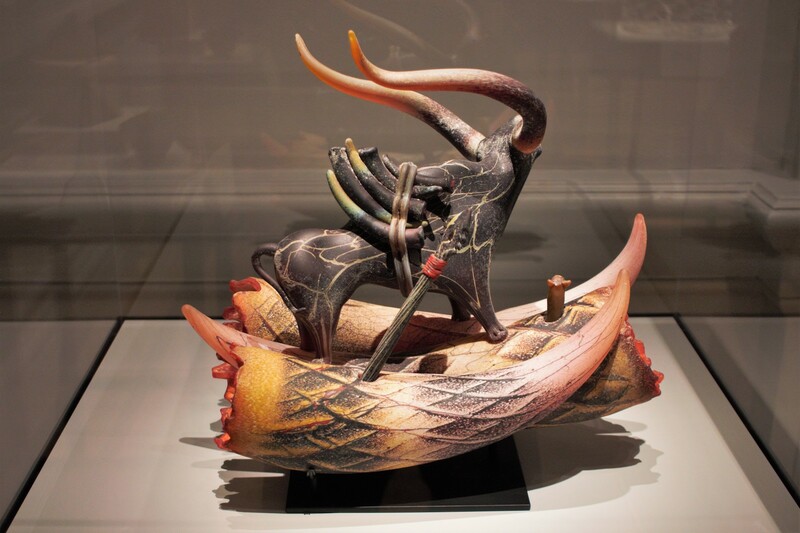 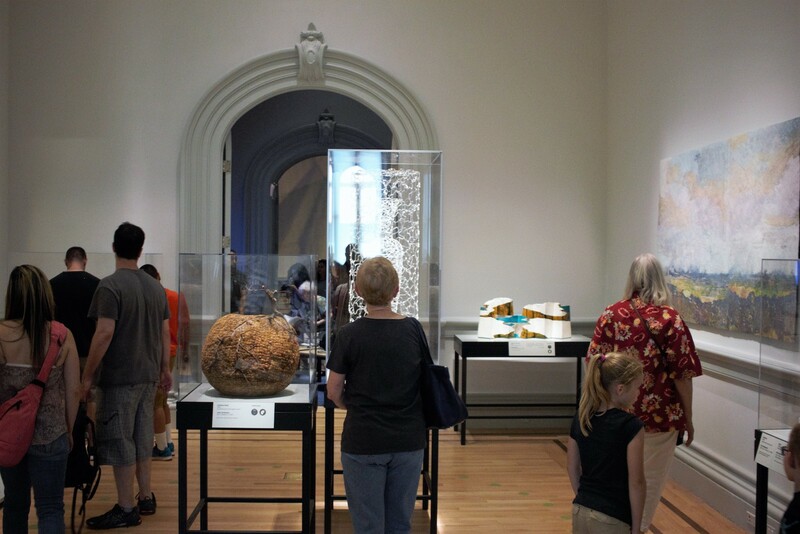 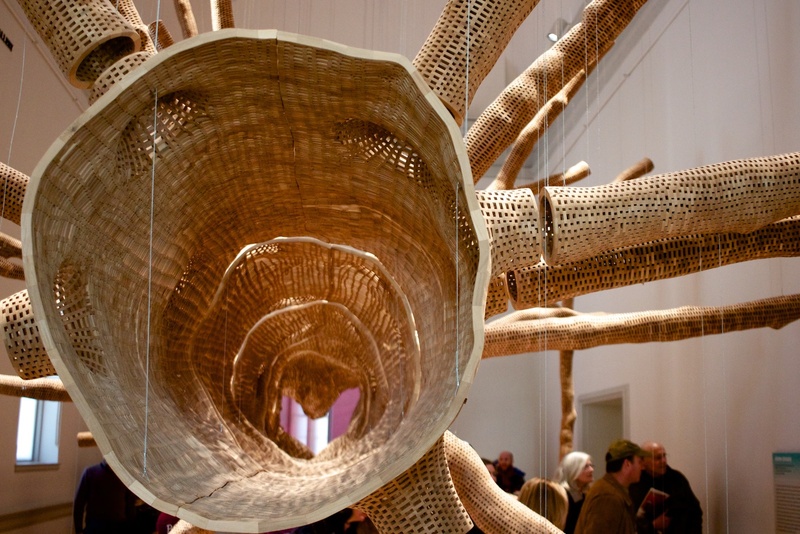 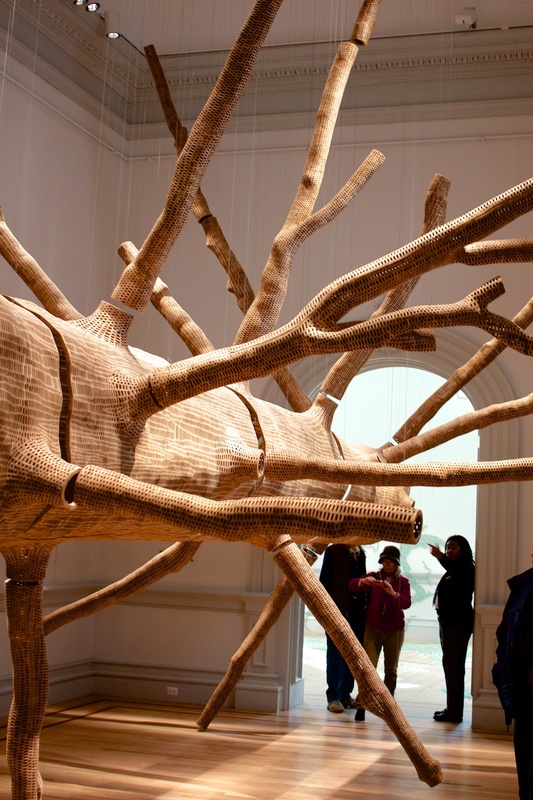 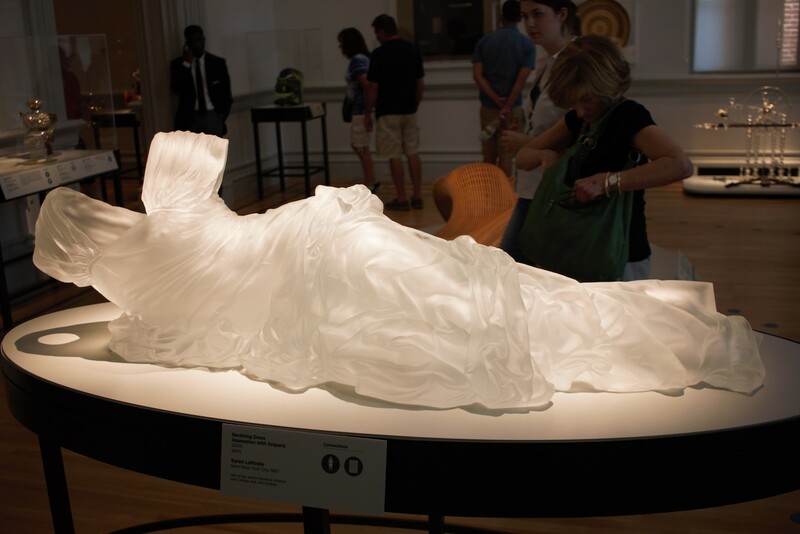 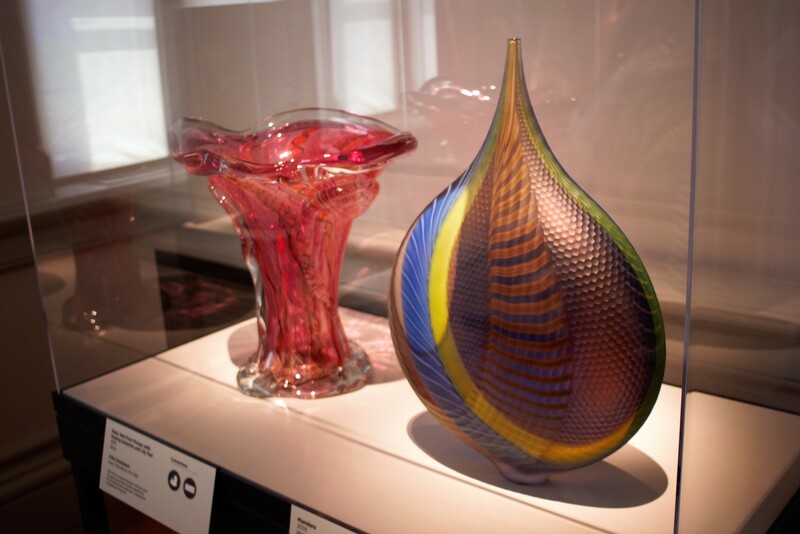 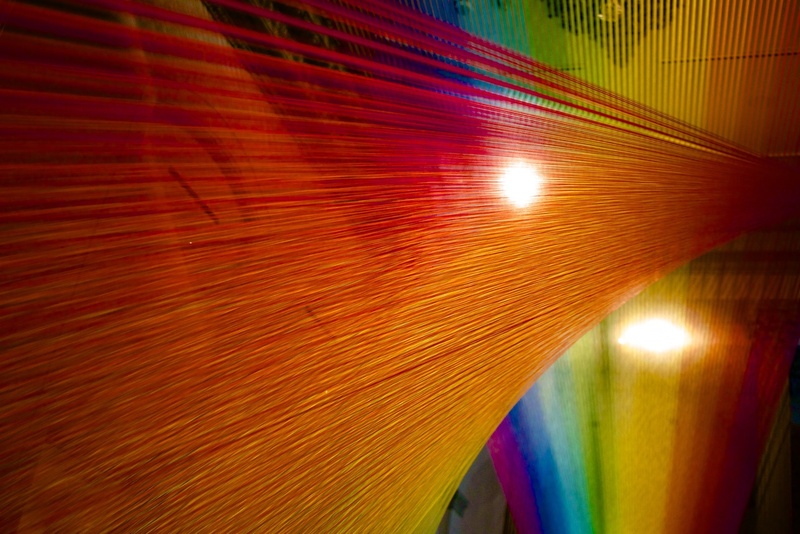 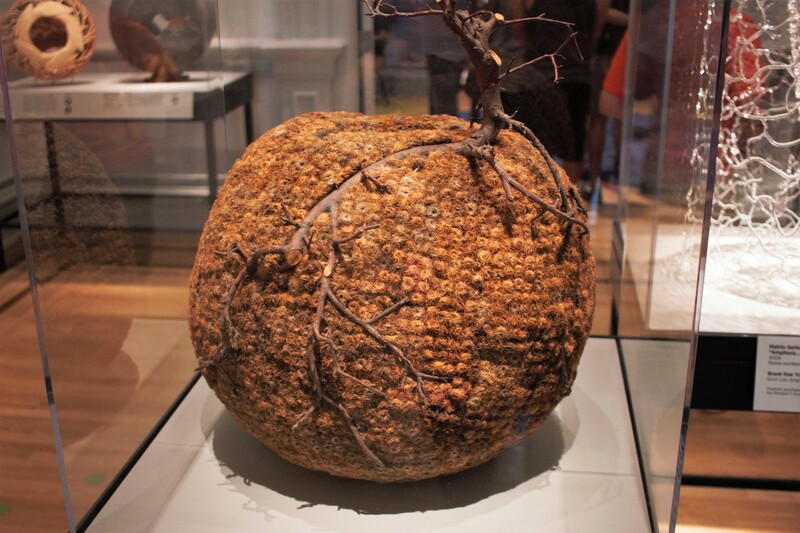 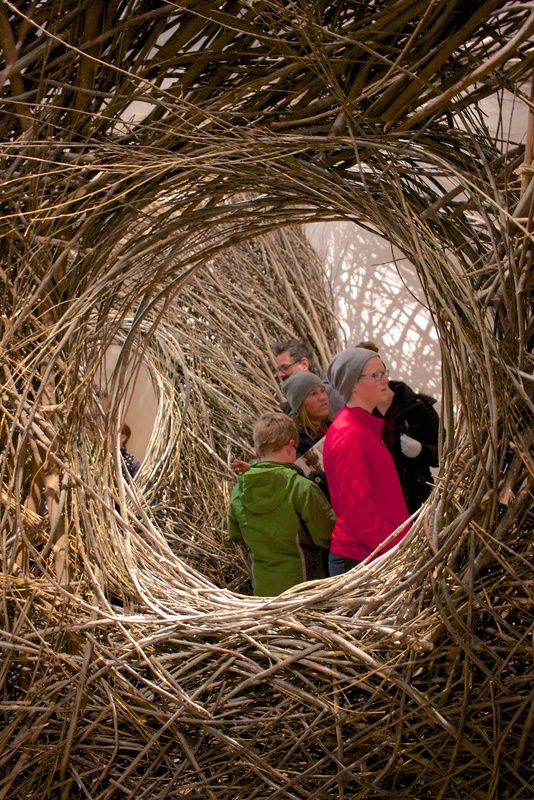 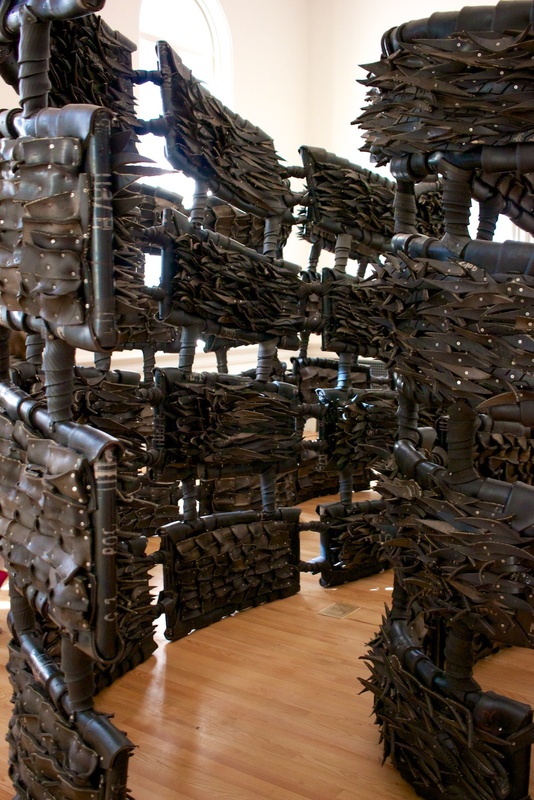 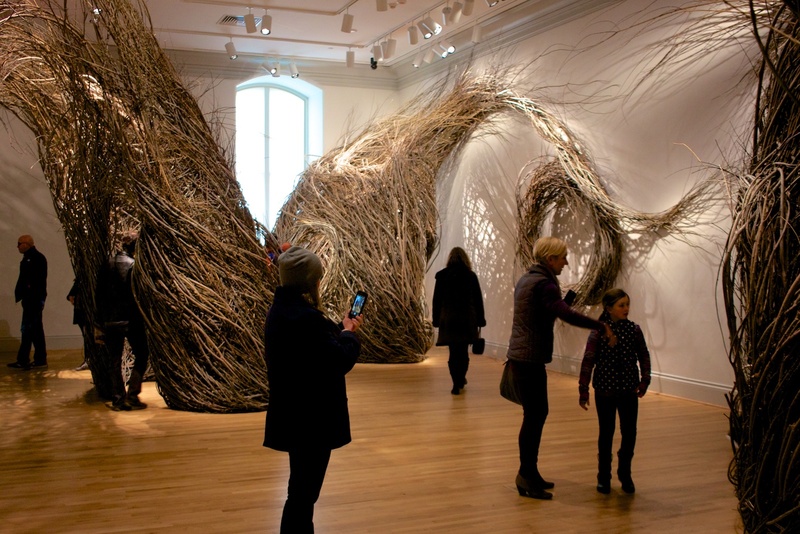 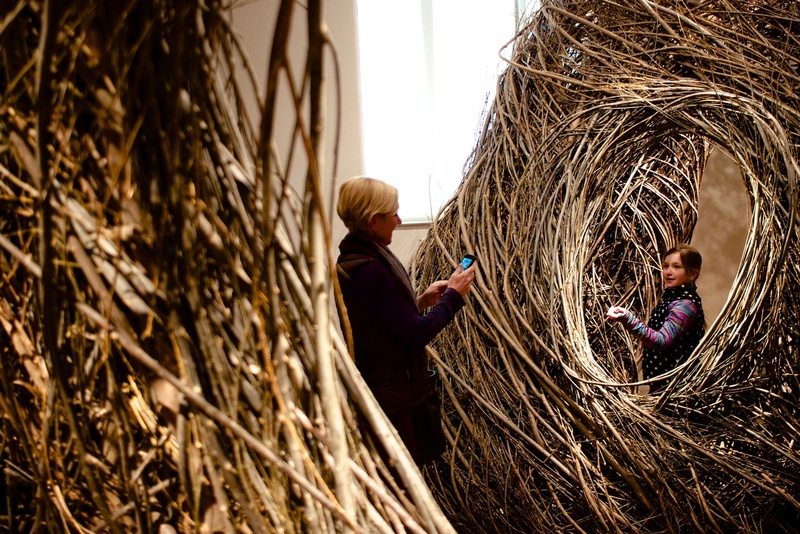 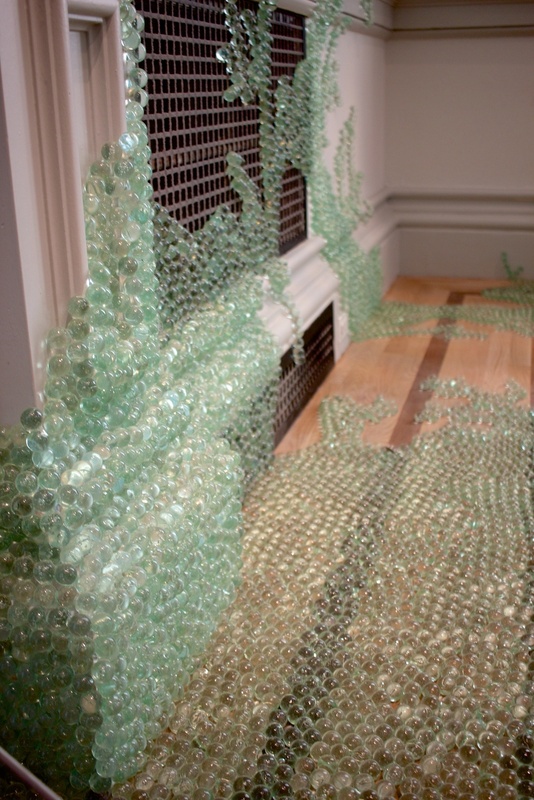 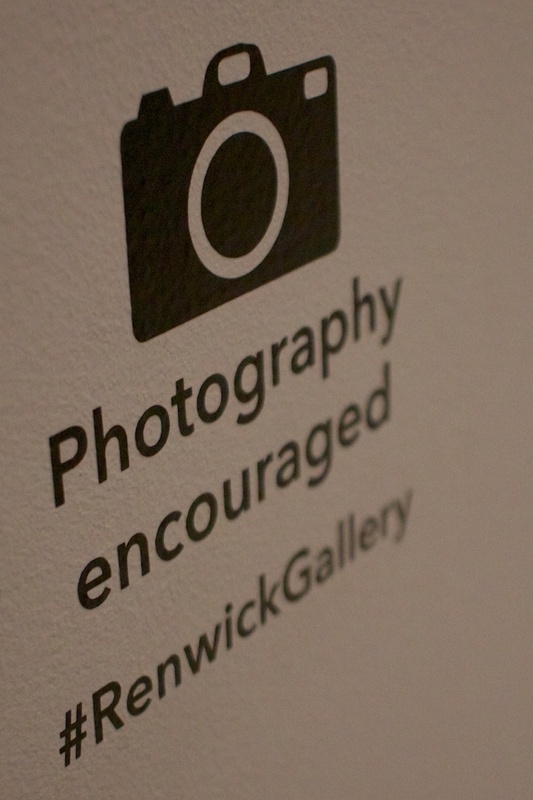 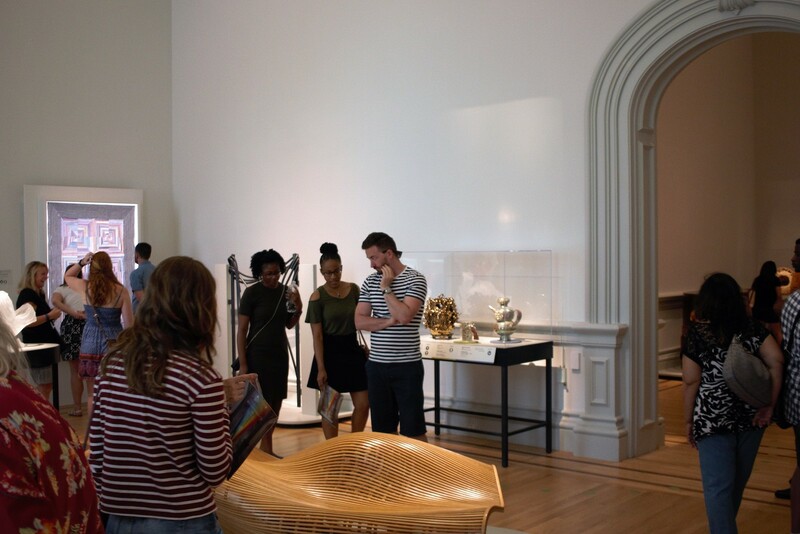 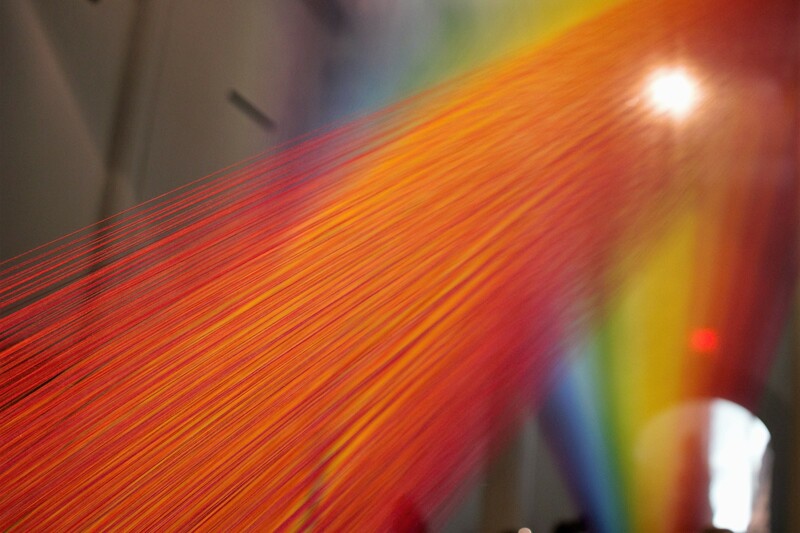 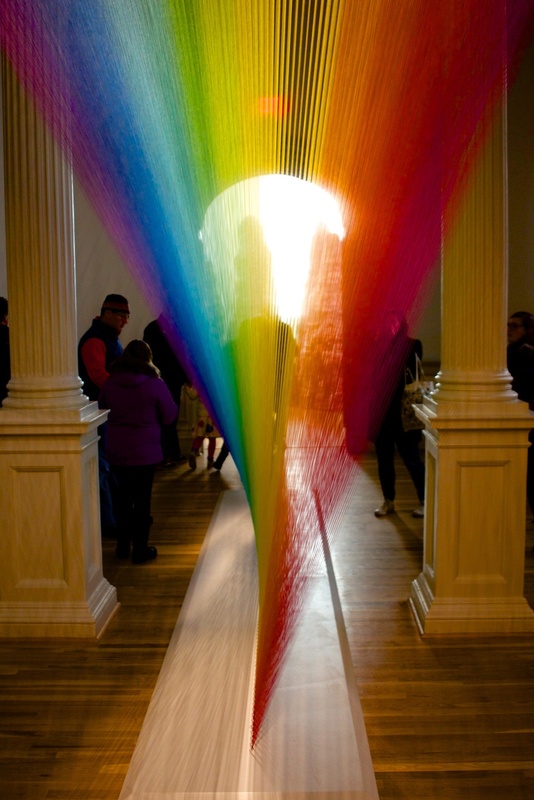 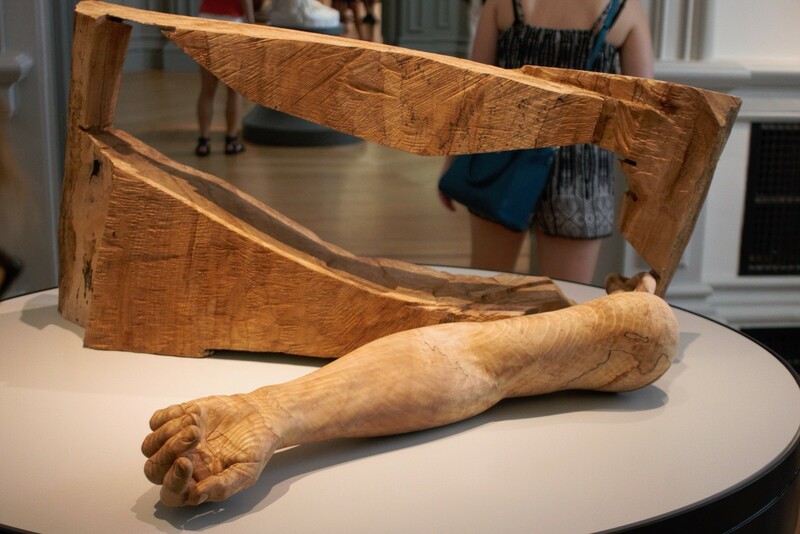 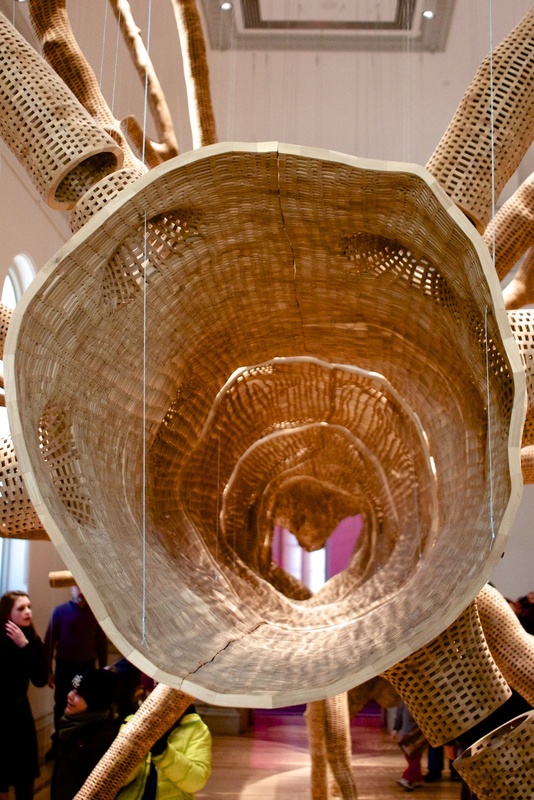 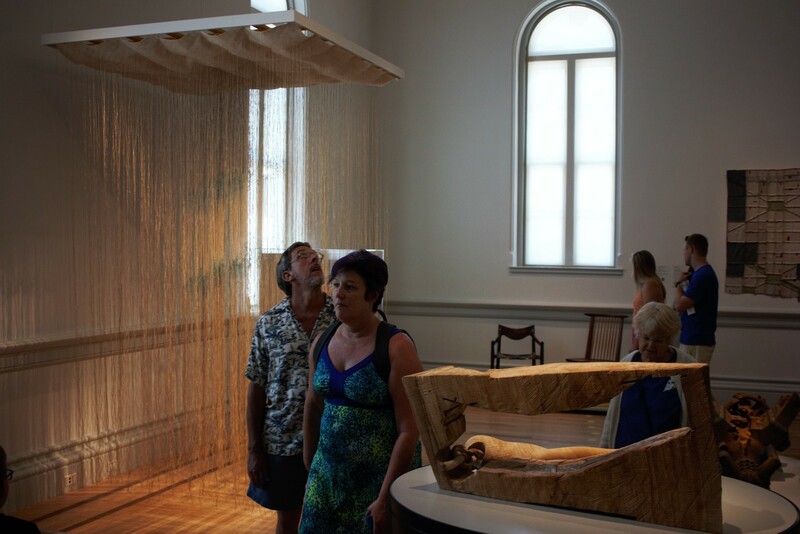 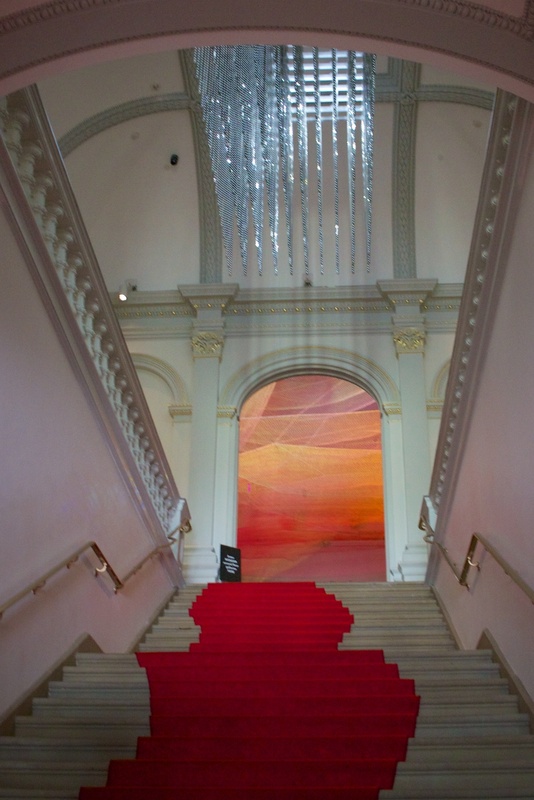 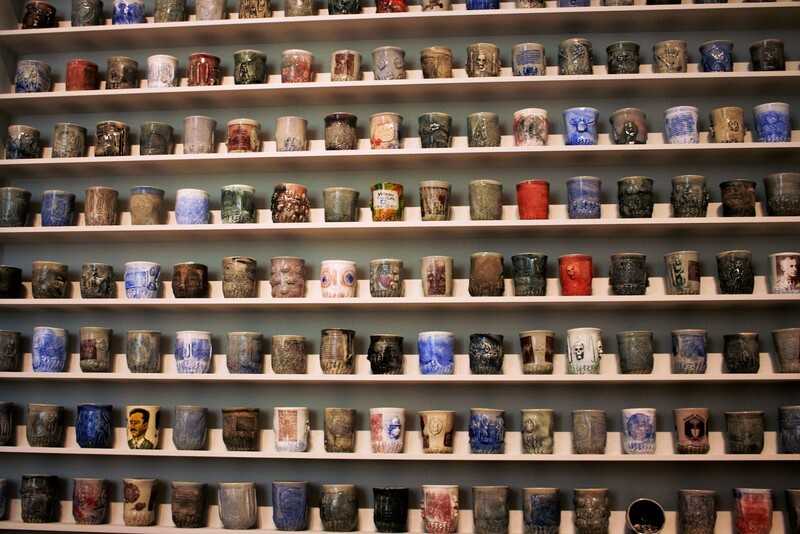 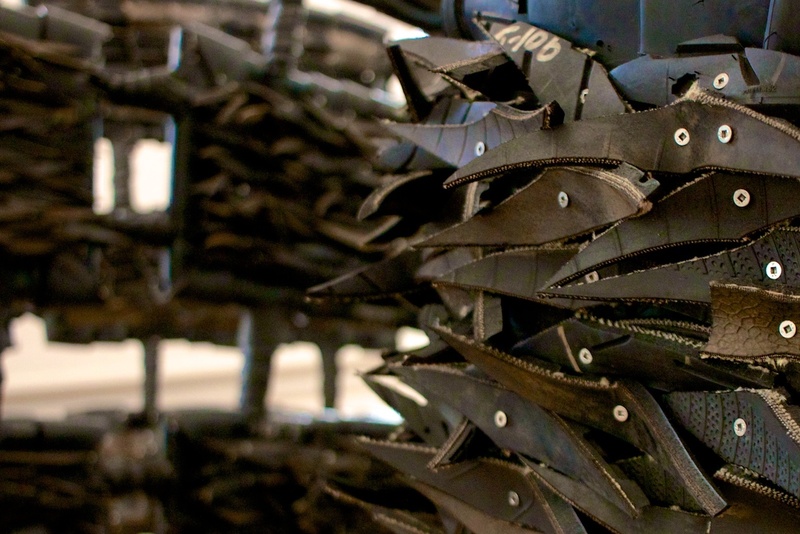 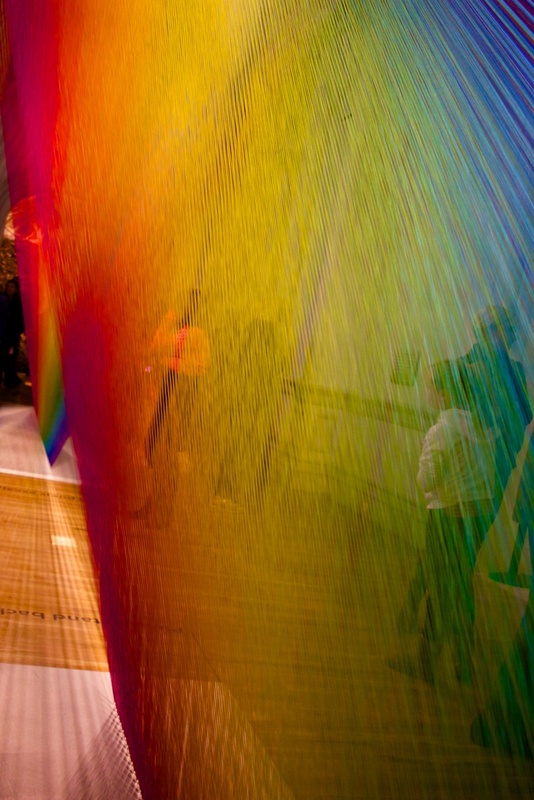 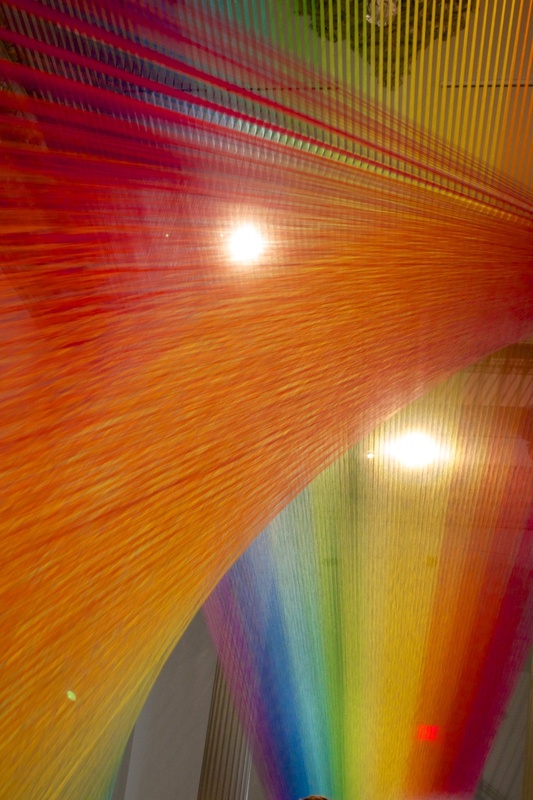 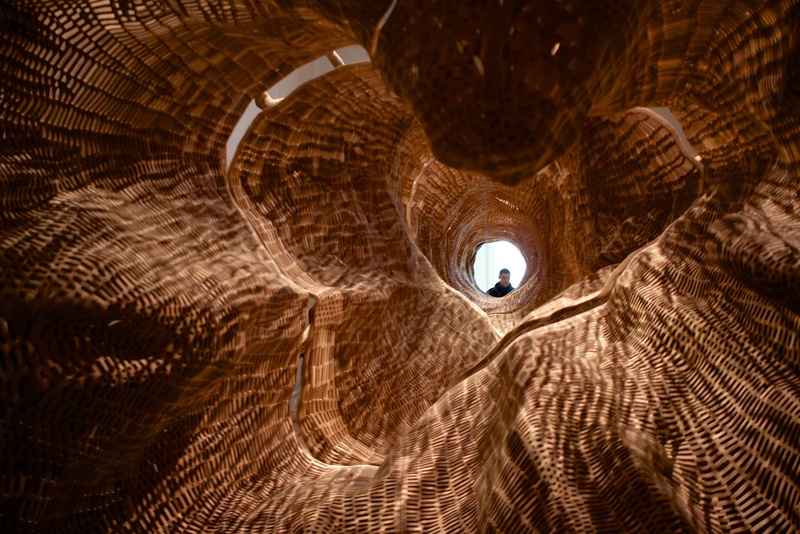 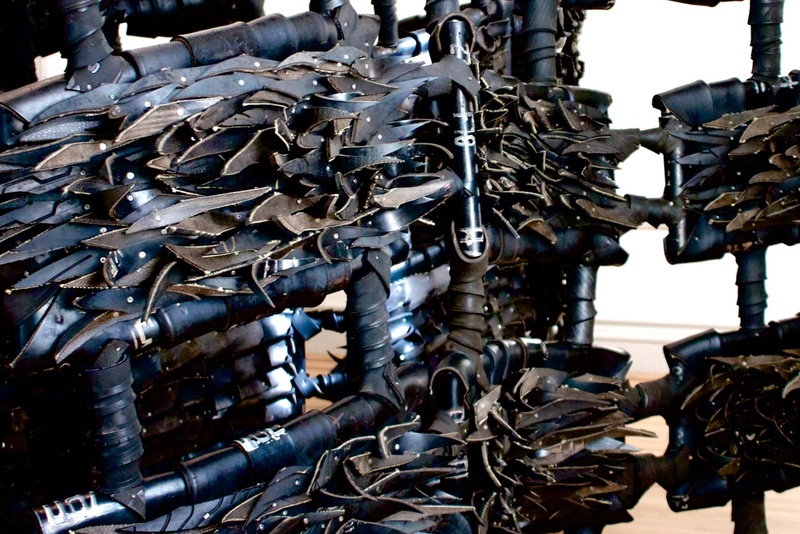 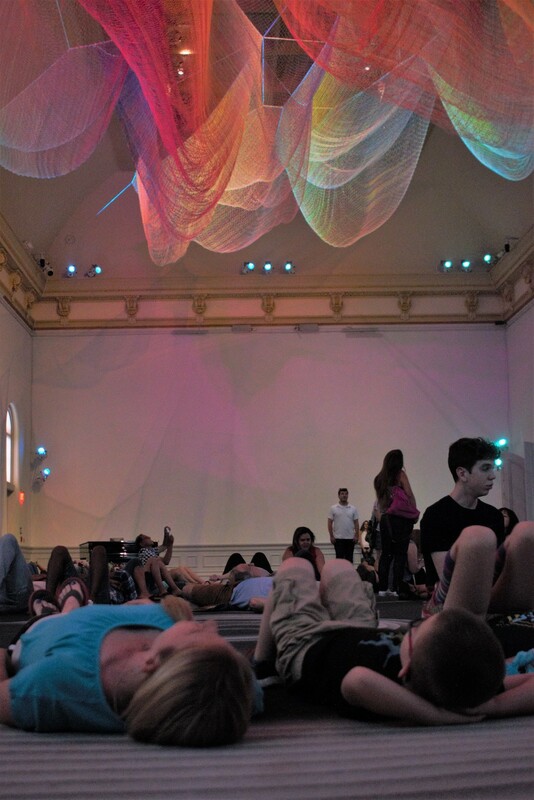 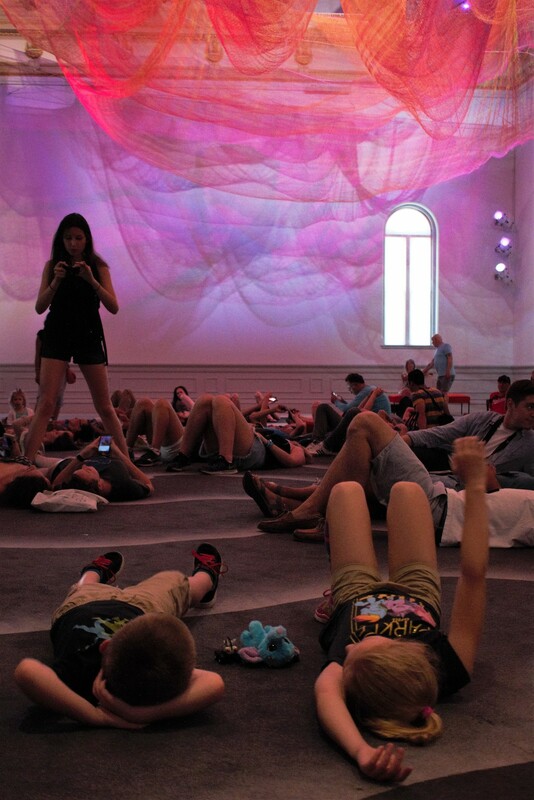 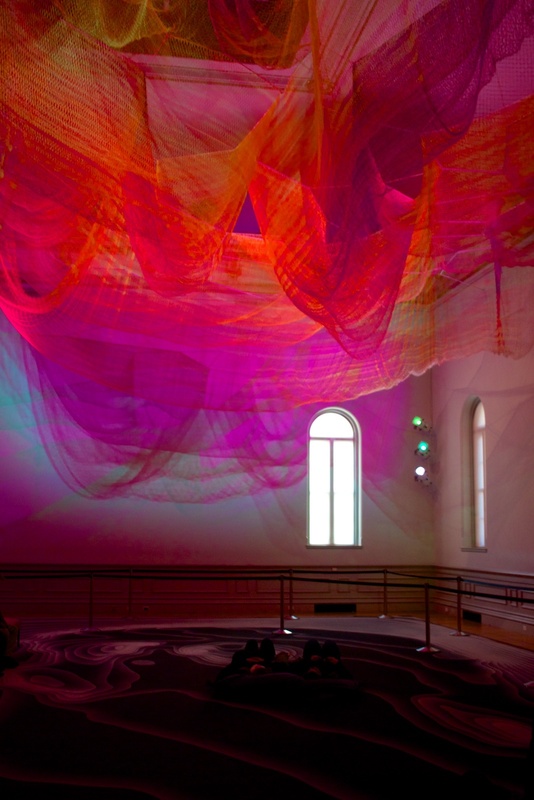 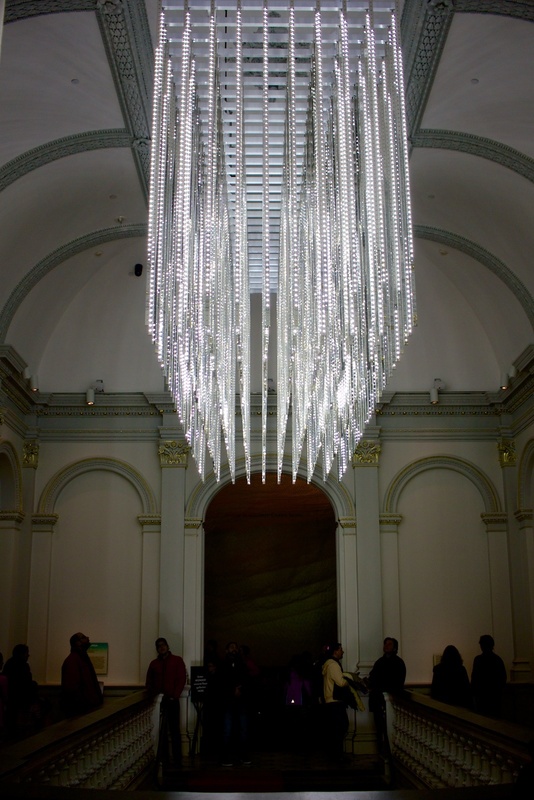 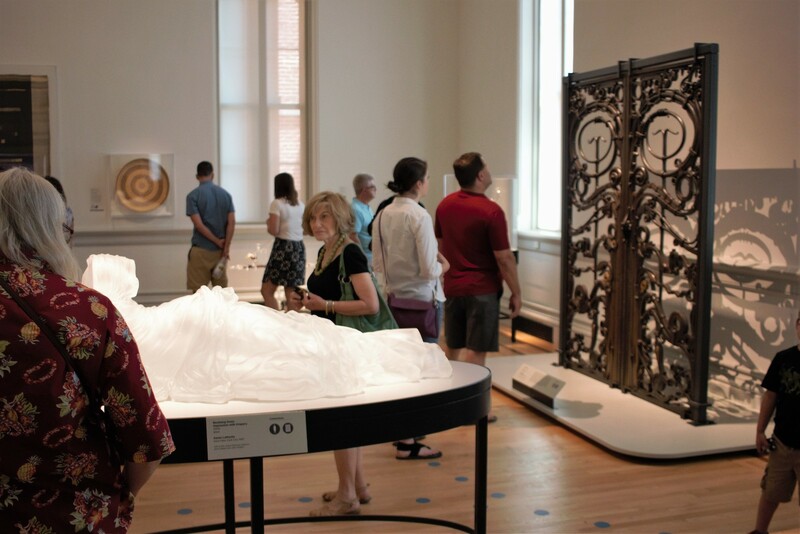 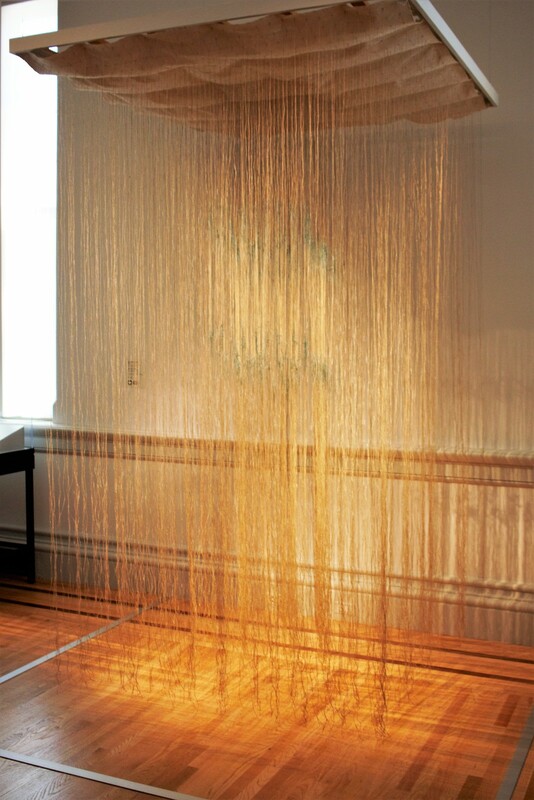 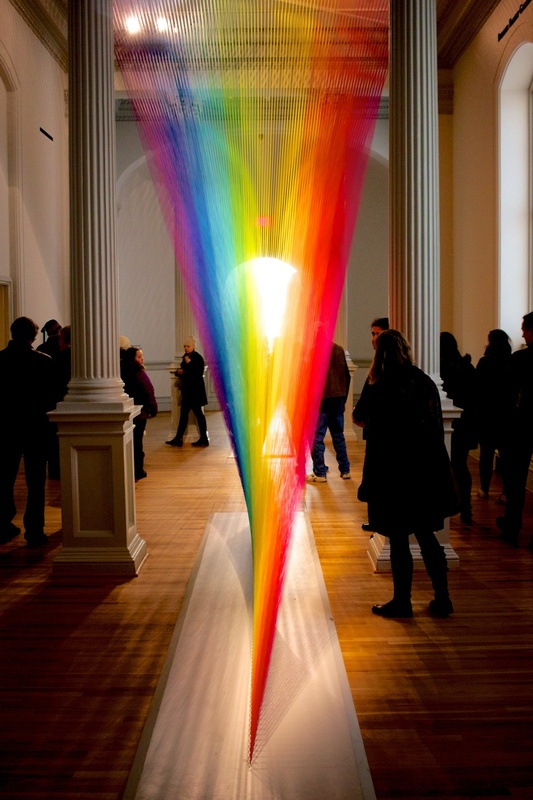 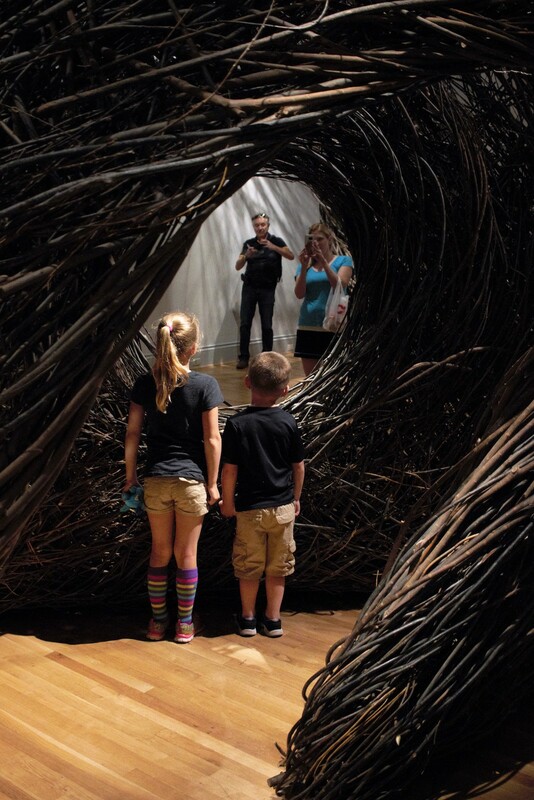 The Renwick is a relatively small museum that houses "contemporary craft and decorative art." 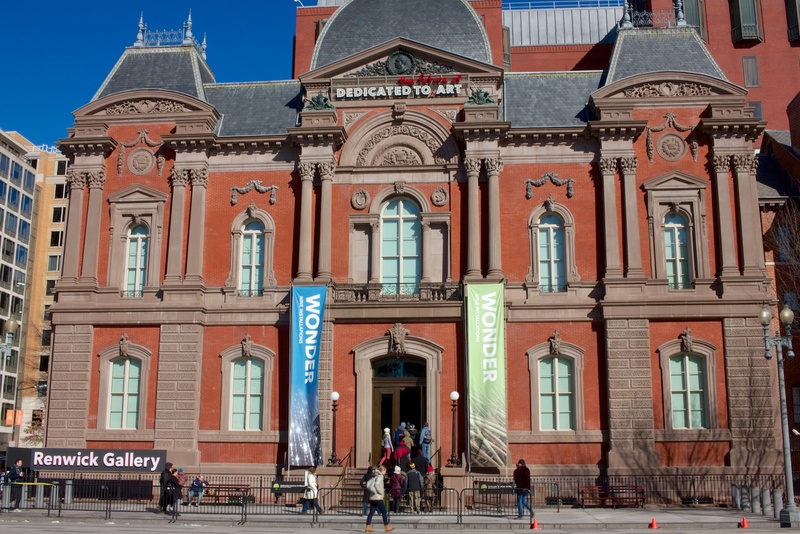 Like all Smithsonian museums it is free to get into. 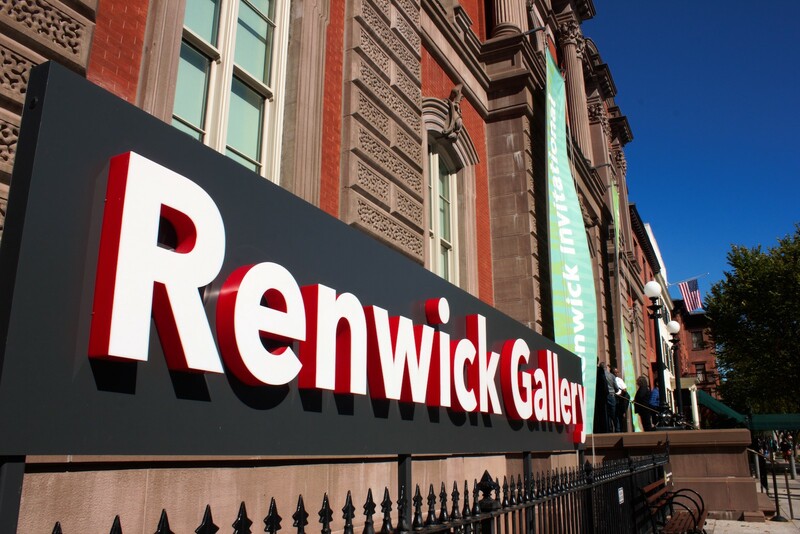 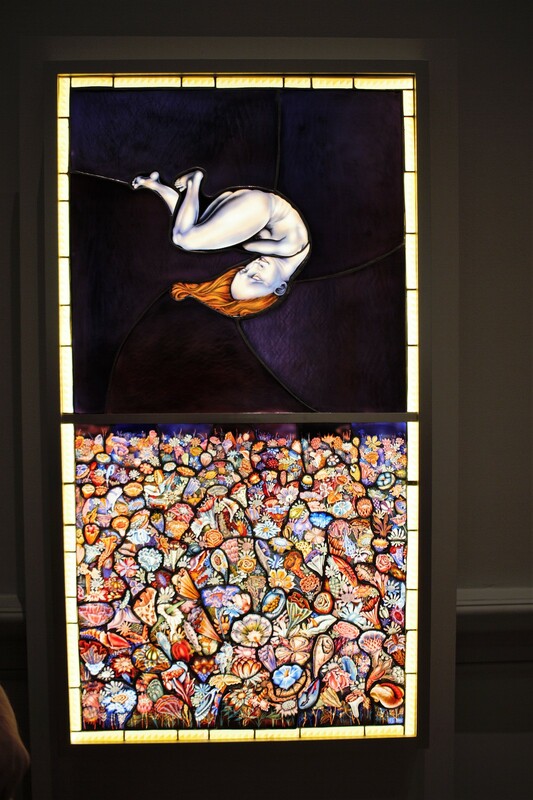 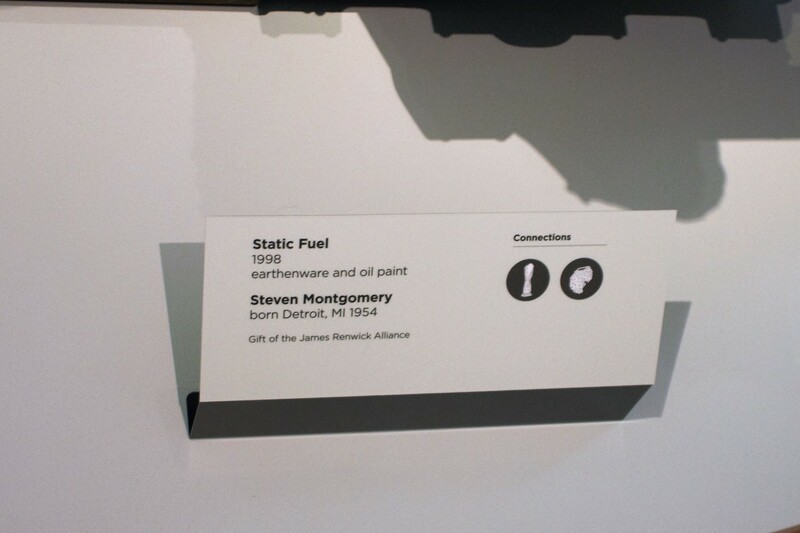 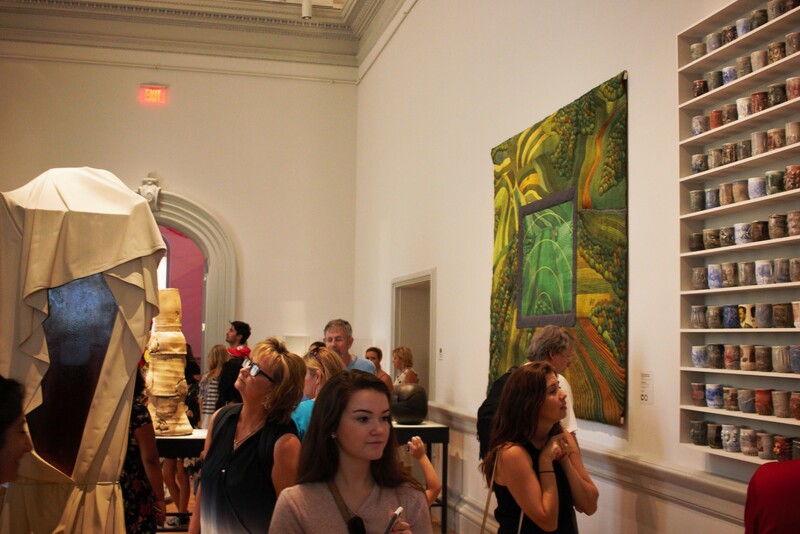 The Renwick is located very near the White House and Lafayette Park and it's easily digestible size makes it an easy stop for visitors who enjoy contemporary art. 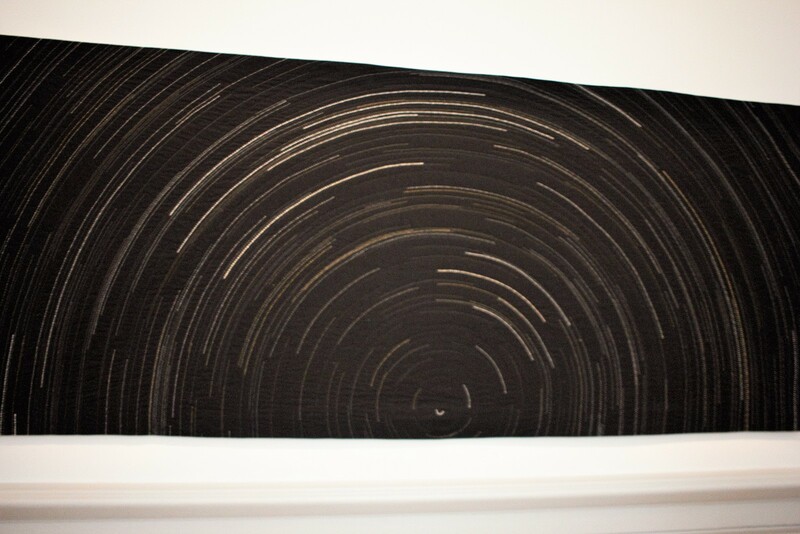 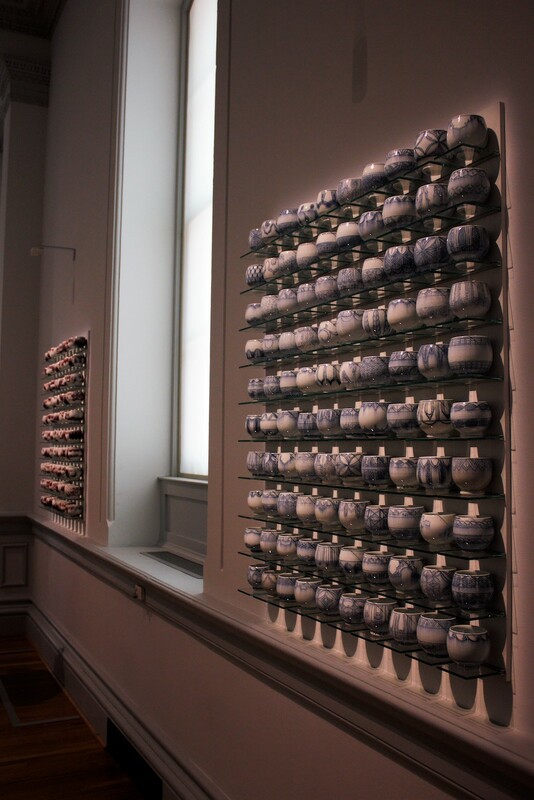 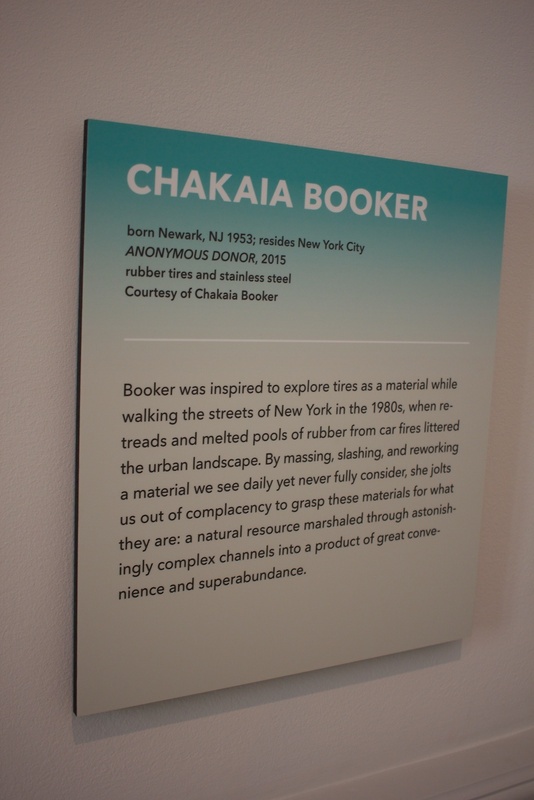 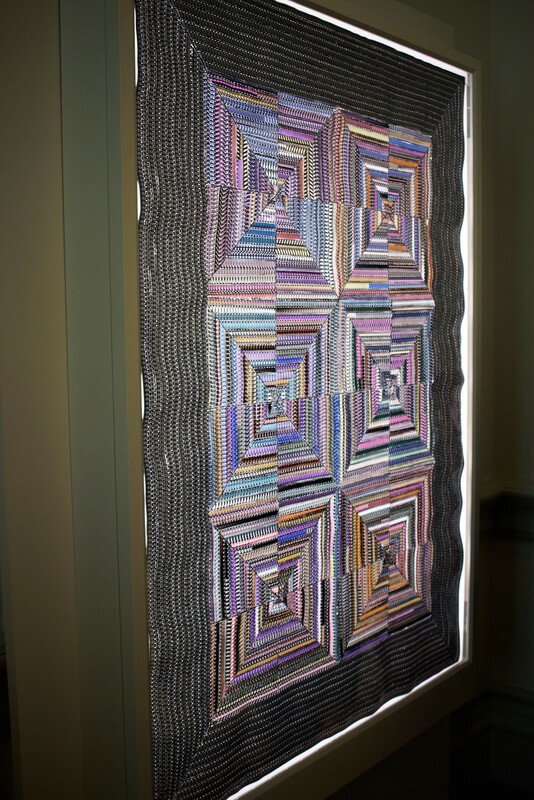 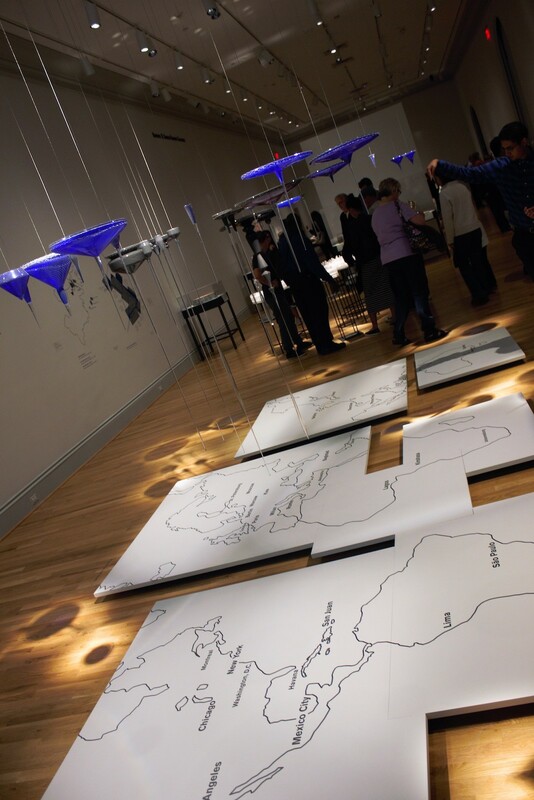 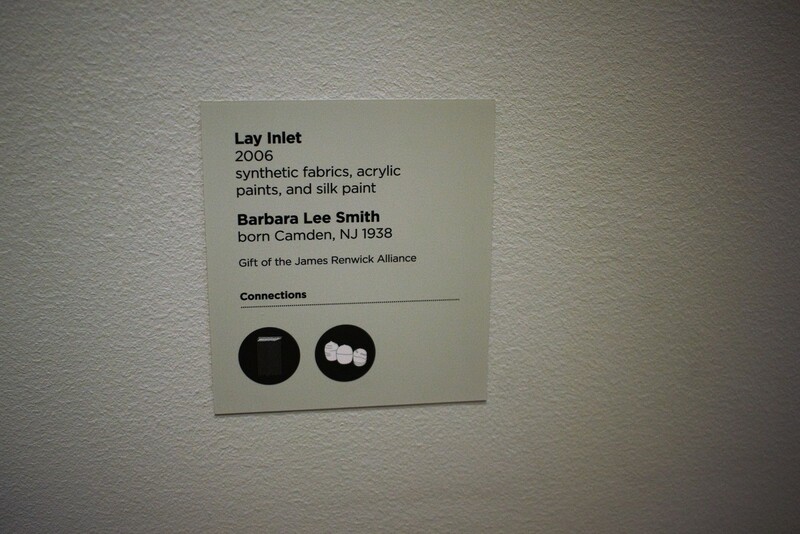 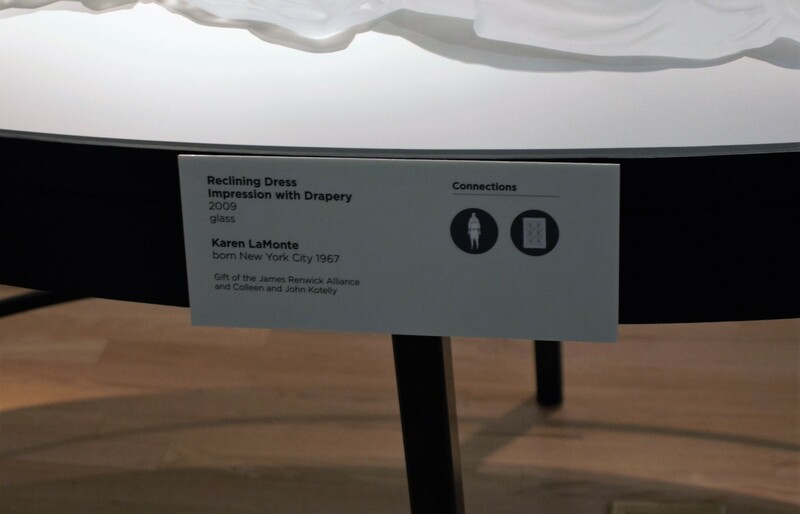 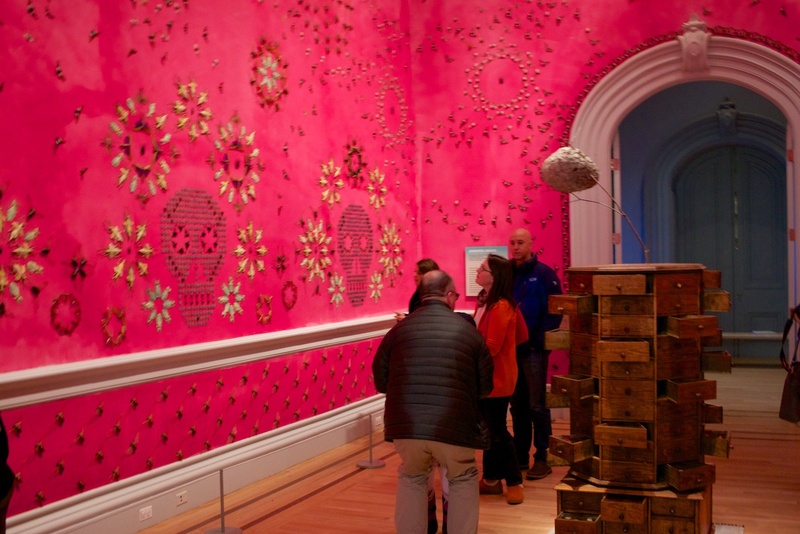 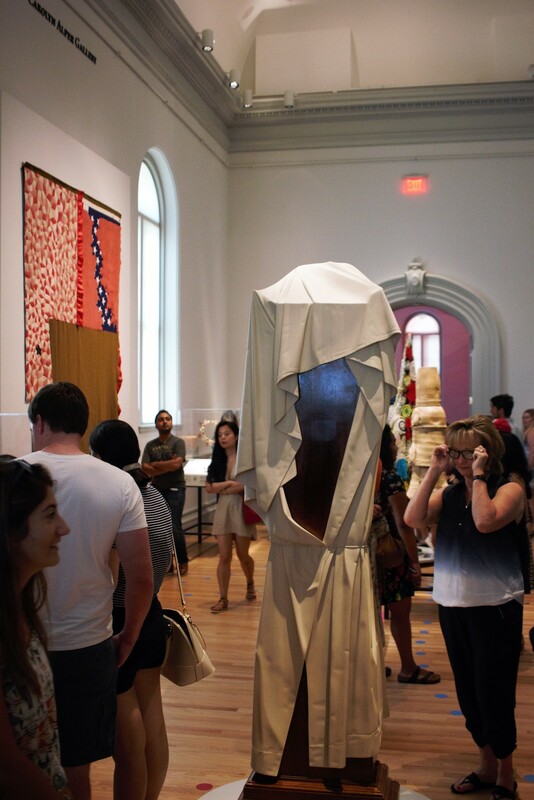 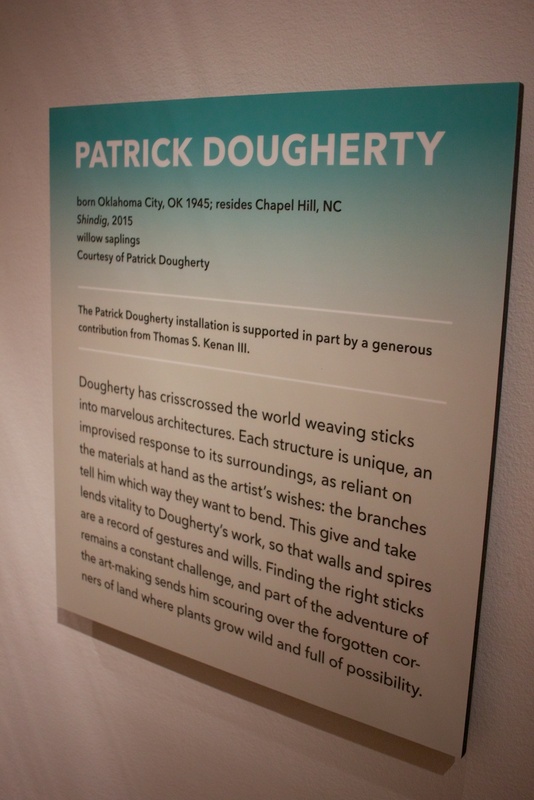 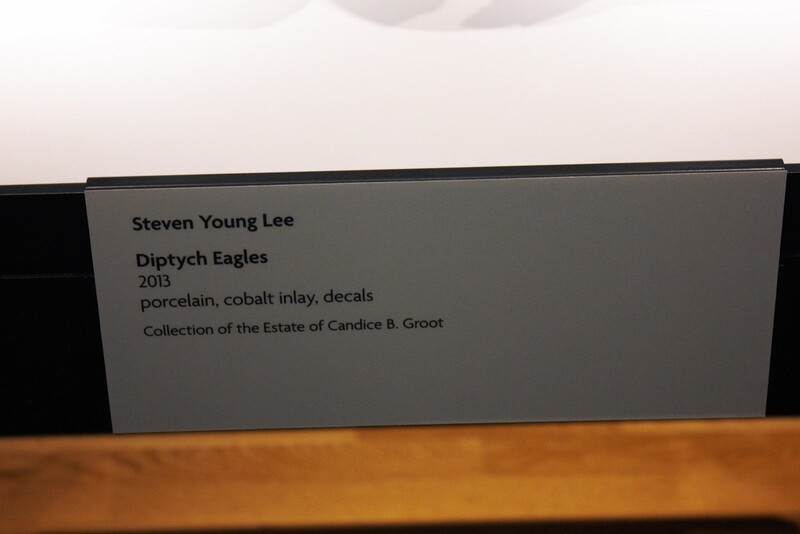 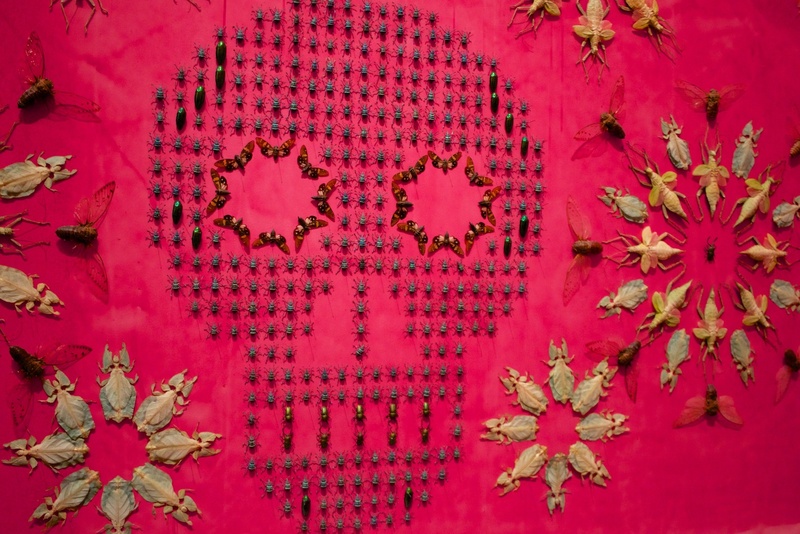 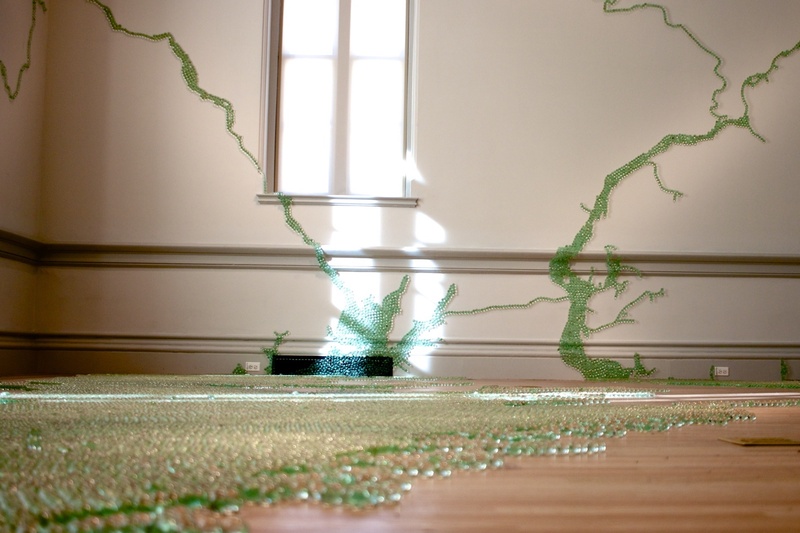 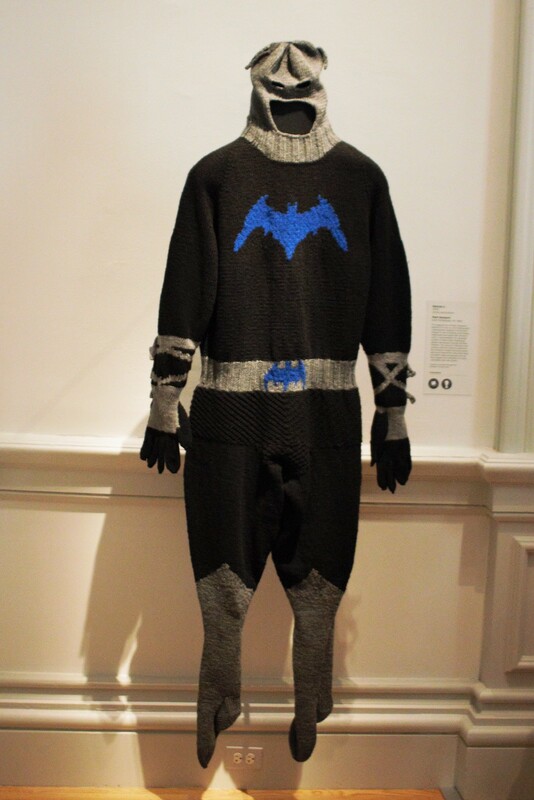 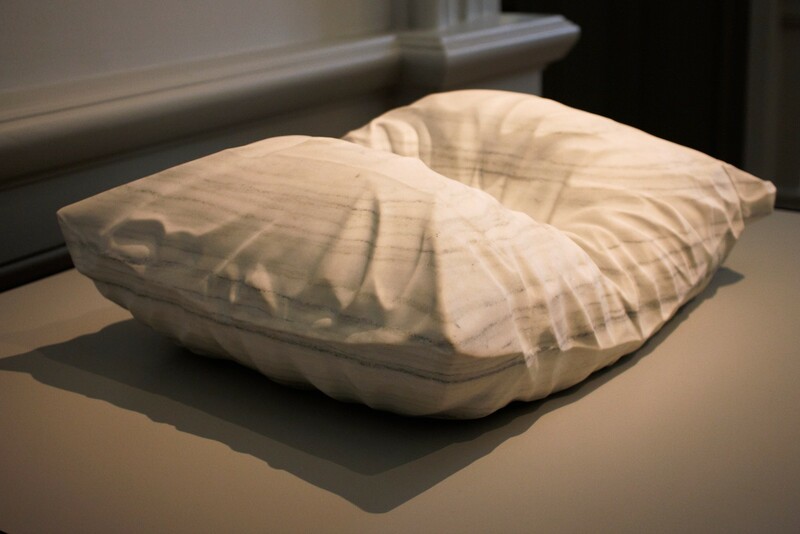 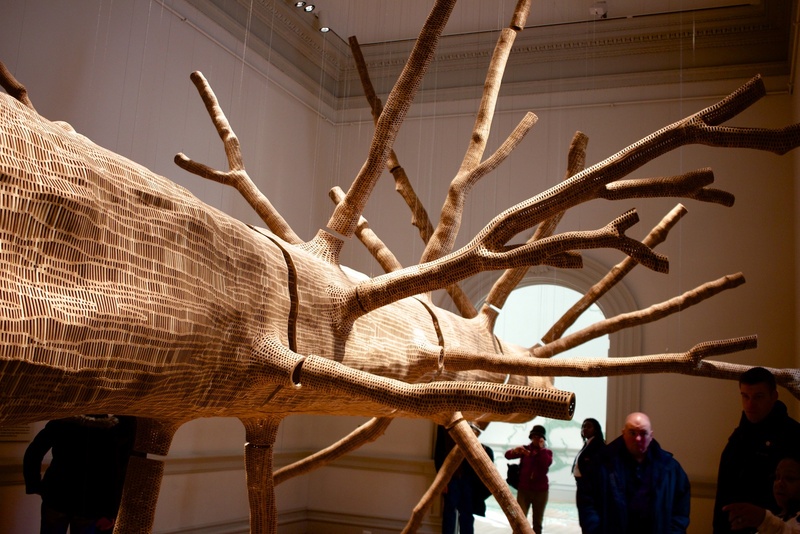 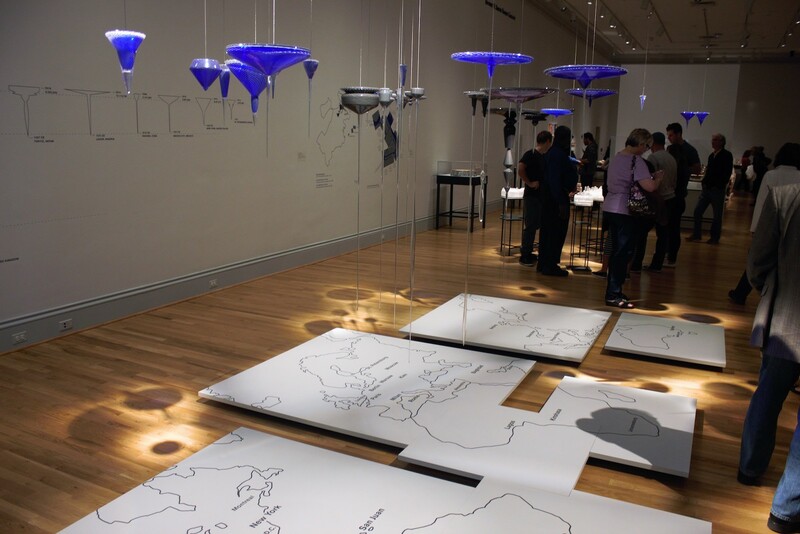 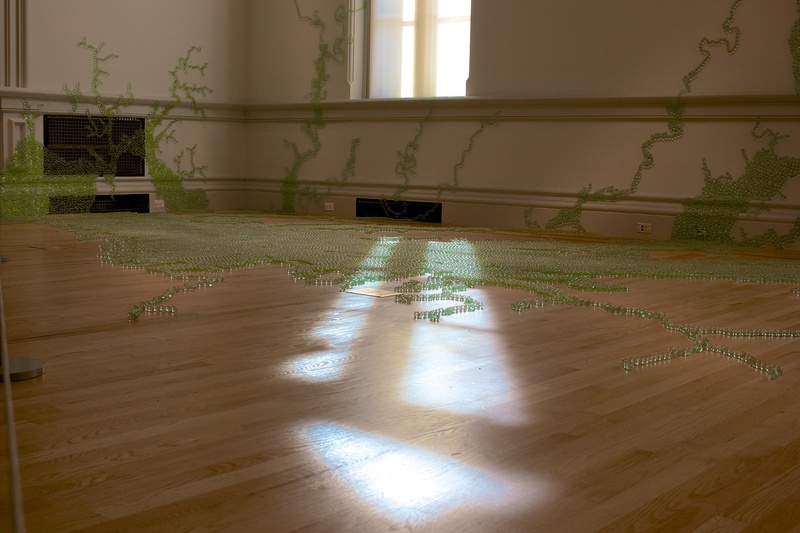 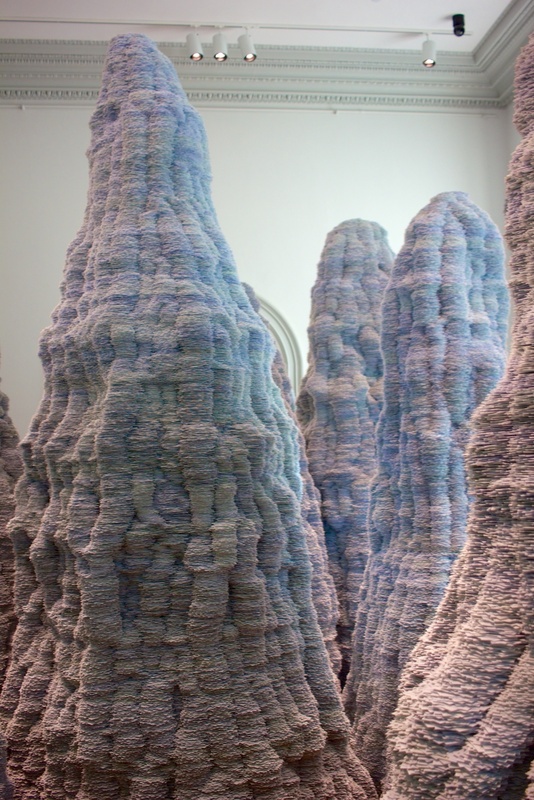 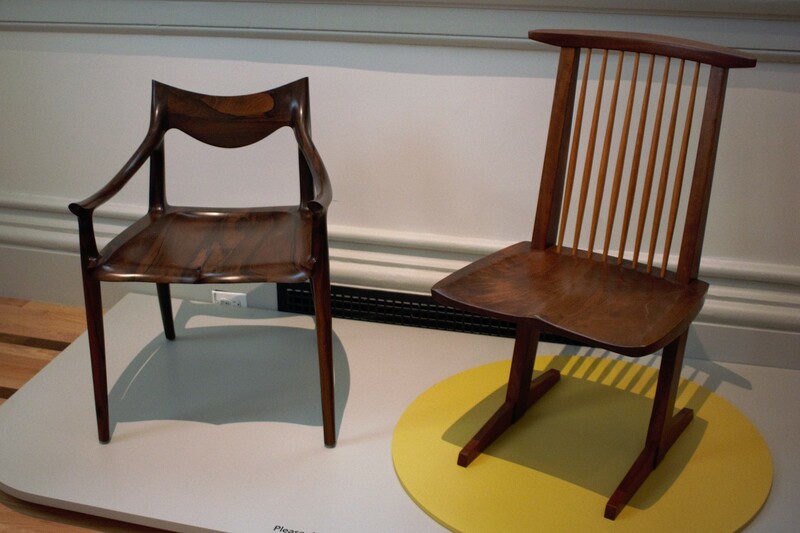 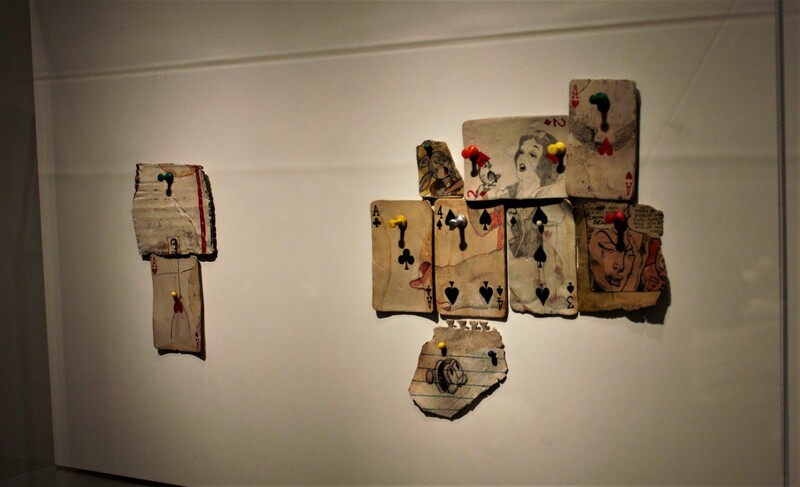 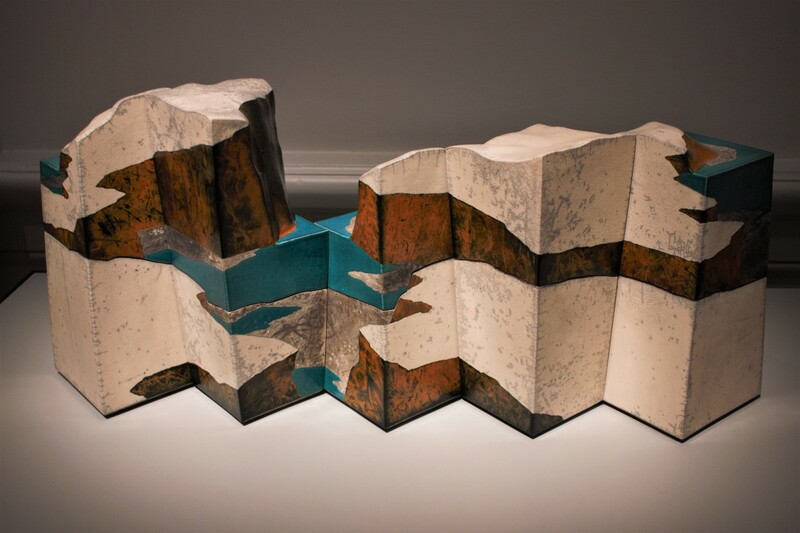 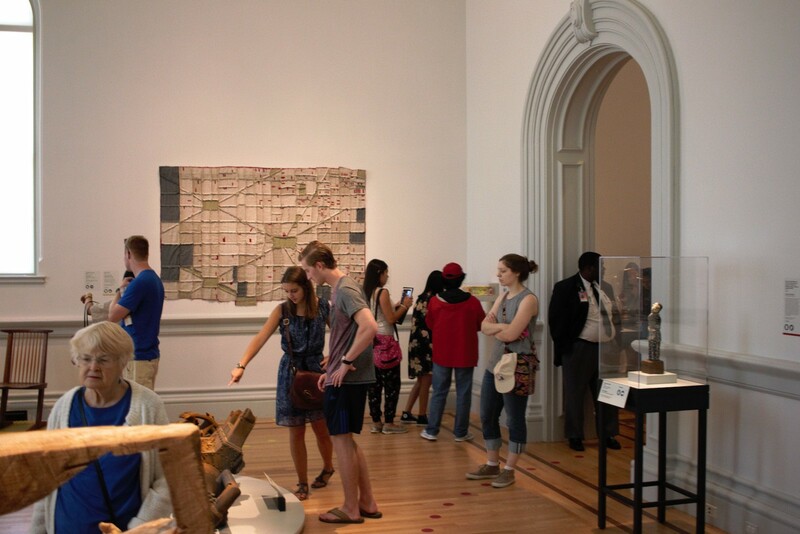 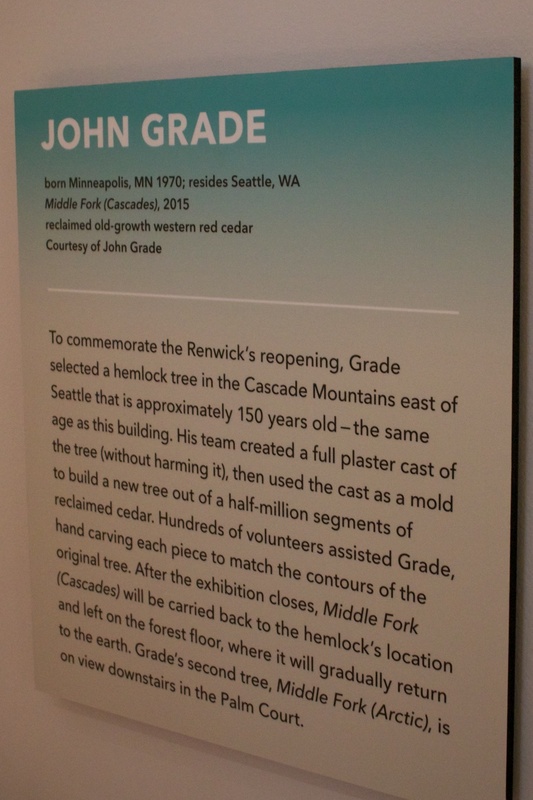 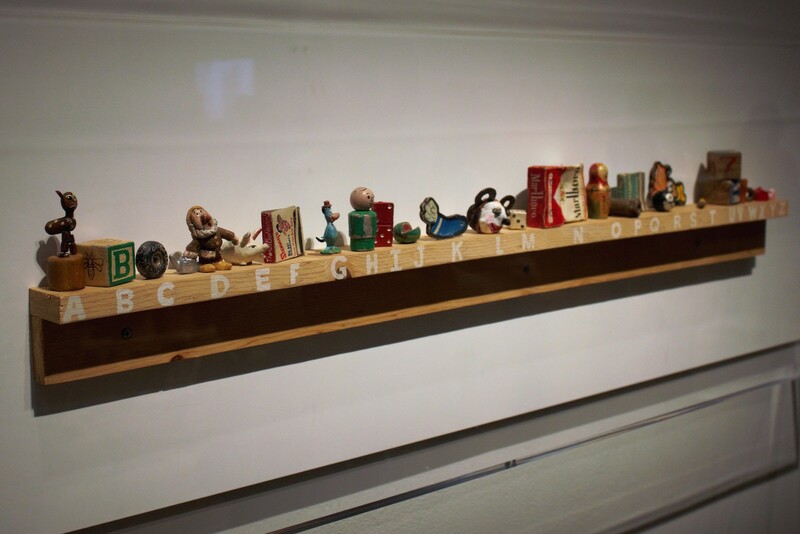 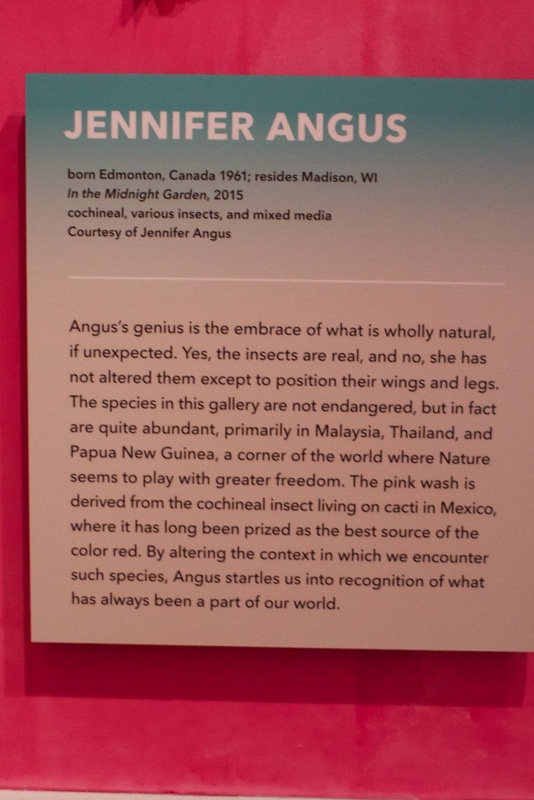 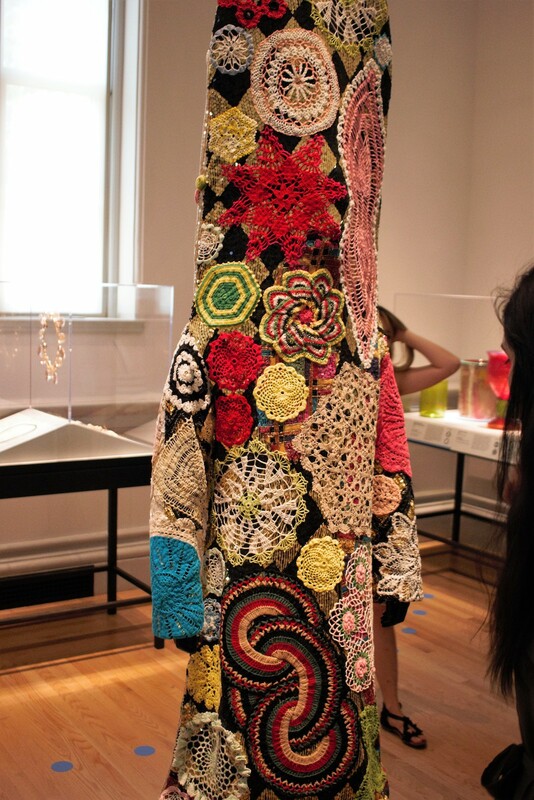 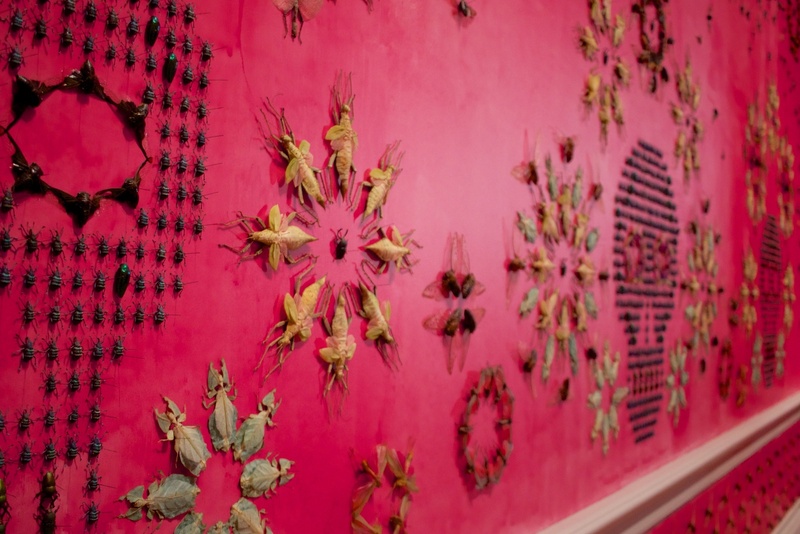 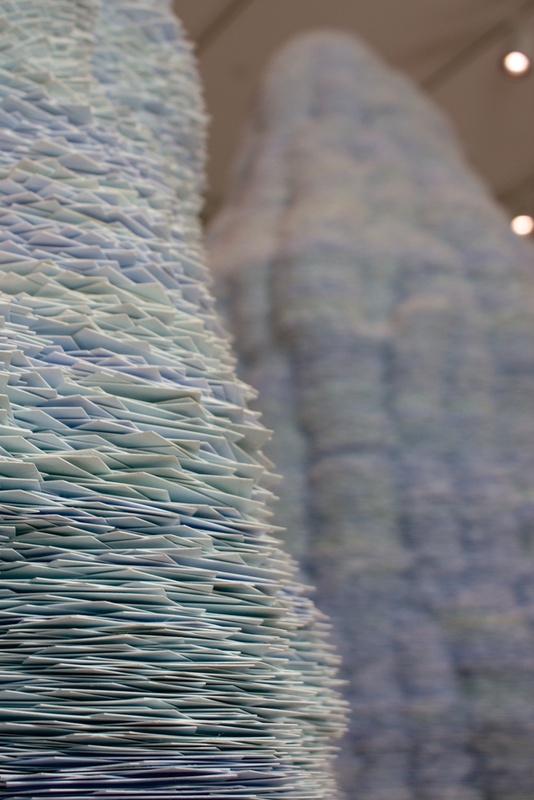 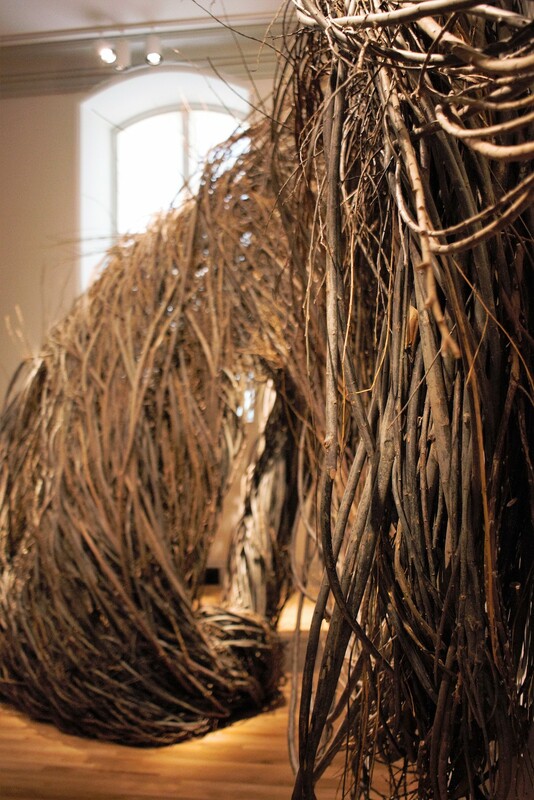 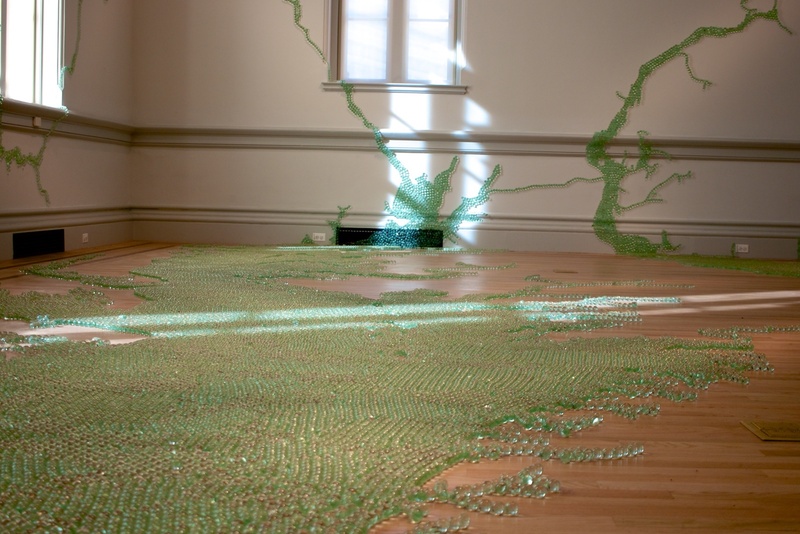 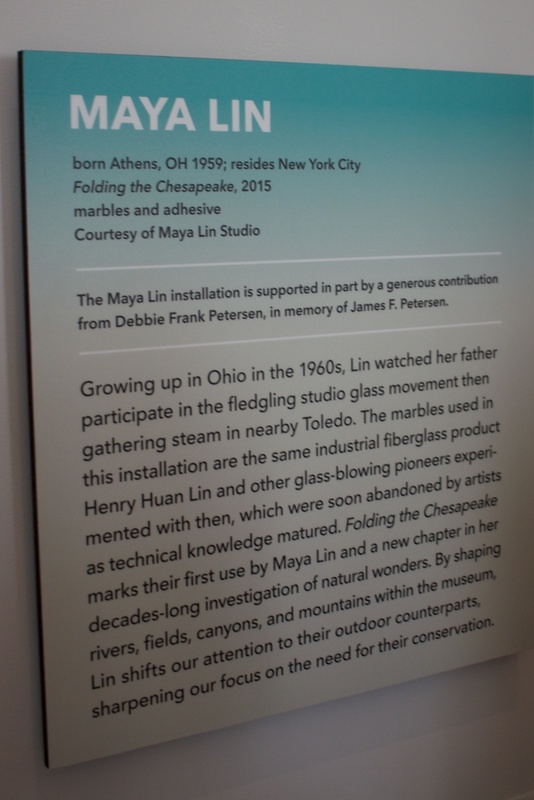 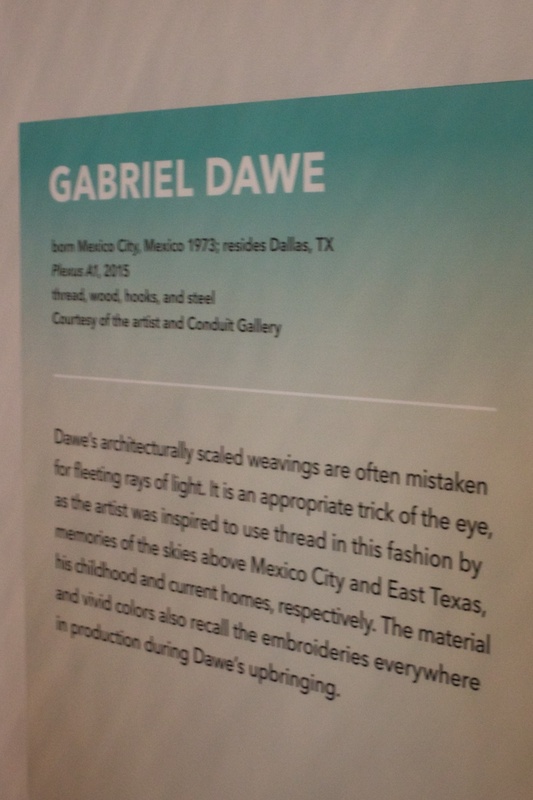 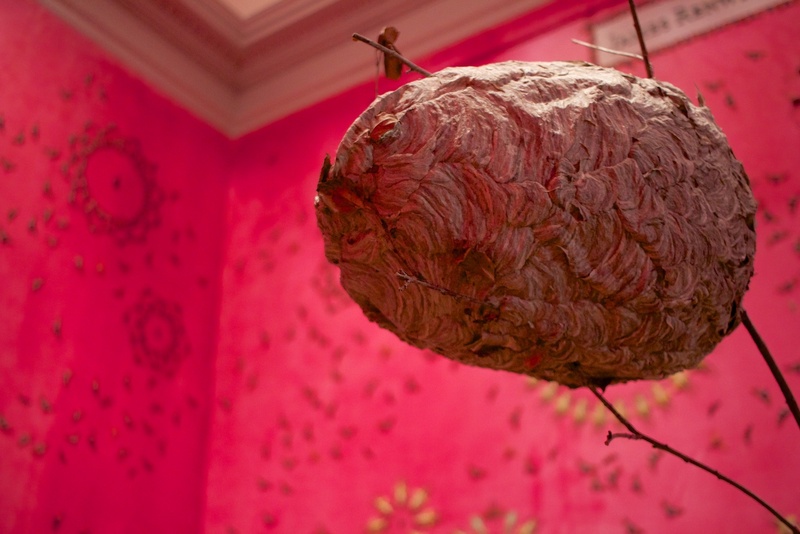 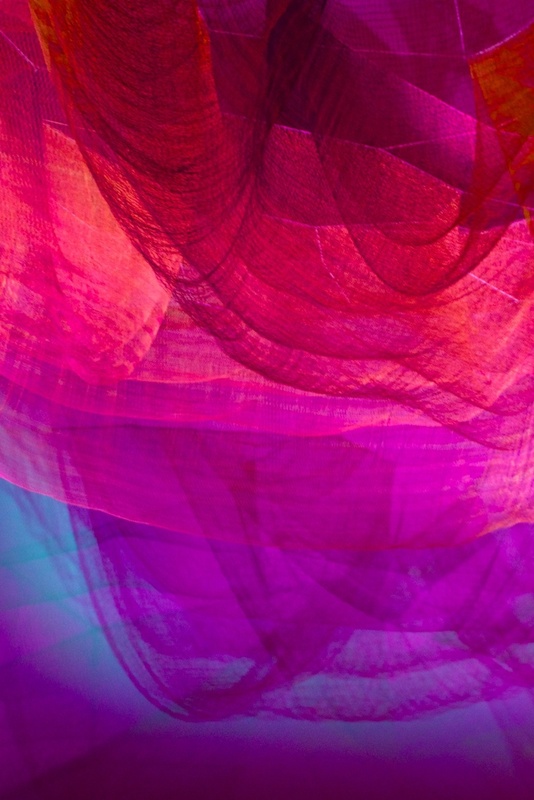 The current exhibit is Connections: Contemporary Craft at the Renwick Gallery which is a seemingly random series of crafts and installations that overlap in theme--or so the curator believes. 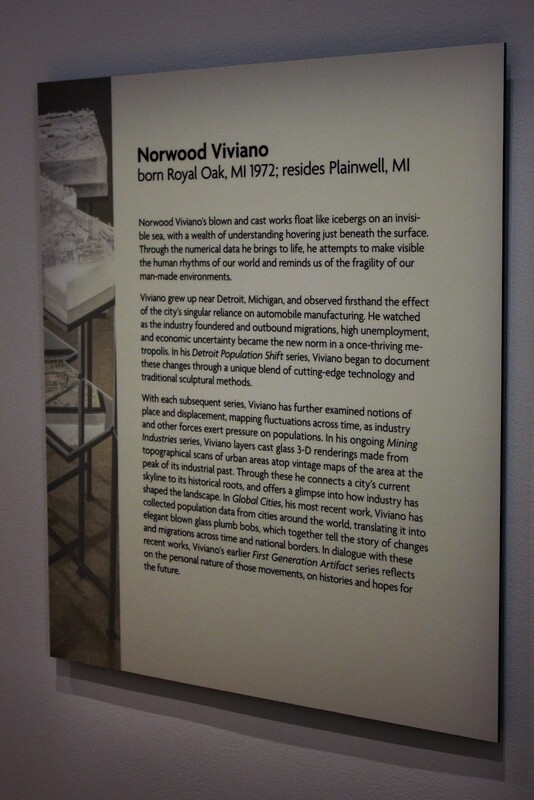 The collection at the Renwick has some very interesting pieces, our favorite being Norwood Viviano's series of cast glass cityscapes. 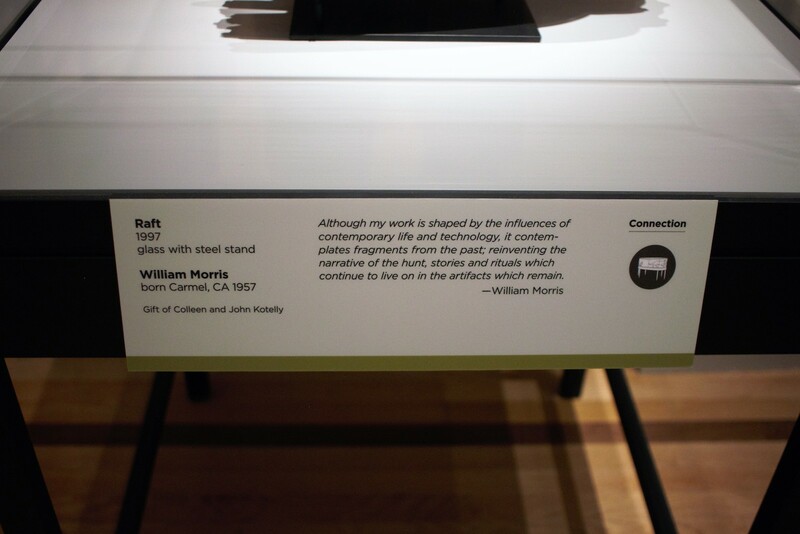 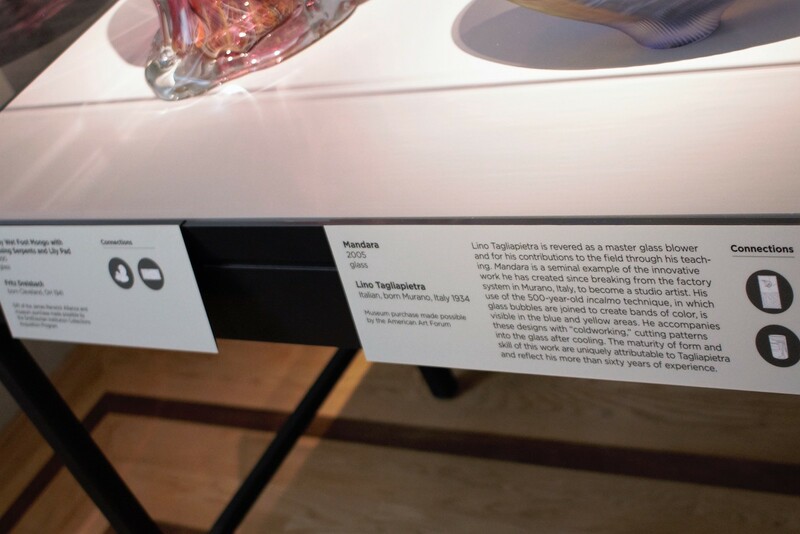 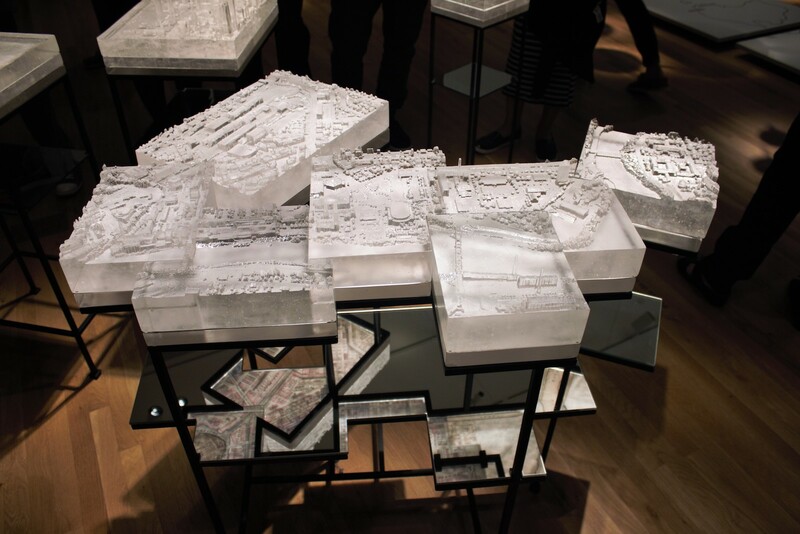 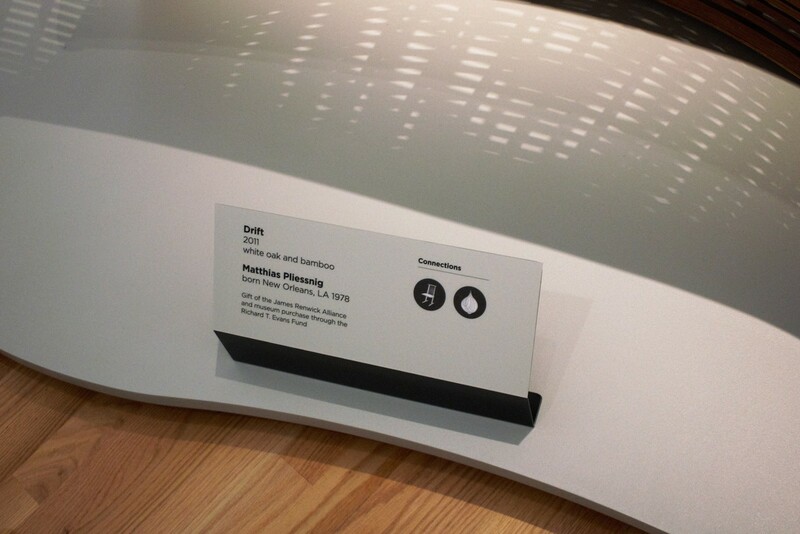 The glass sits on small tables with mirrors underneath that reveal the city map that is printed on the bottom of the work. 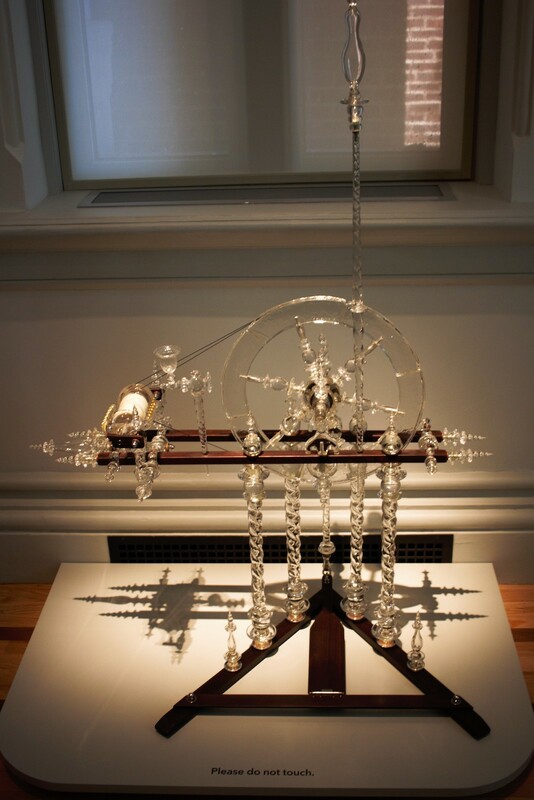 There are also works that we will likely never understand, such as Ghost Clock which we cannot see as anything other than a grandfather clock with a sheet over it. 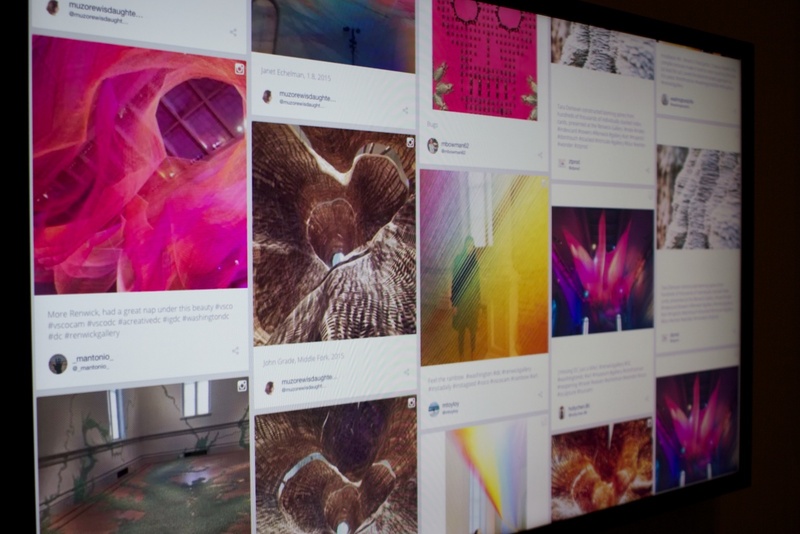 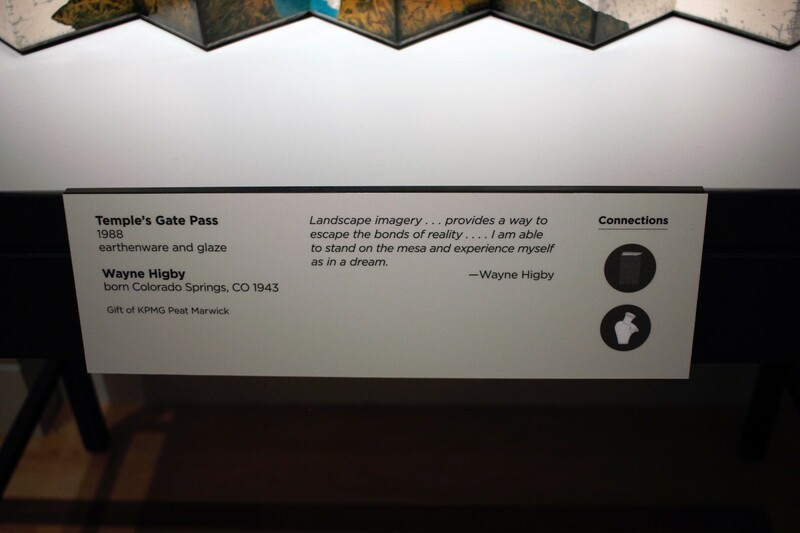 Overall, there are more displays that work artistically and intellectually than don't. 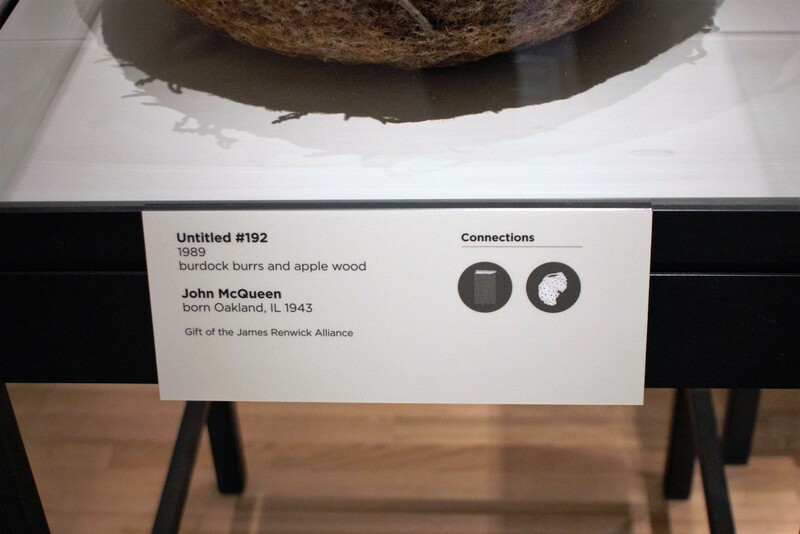 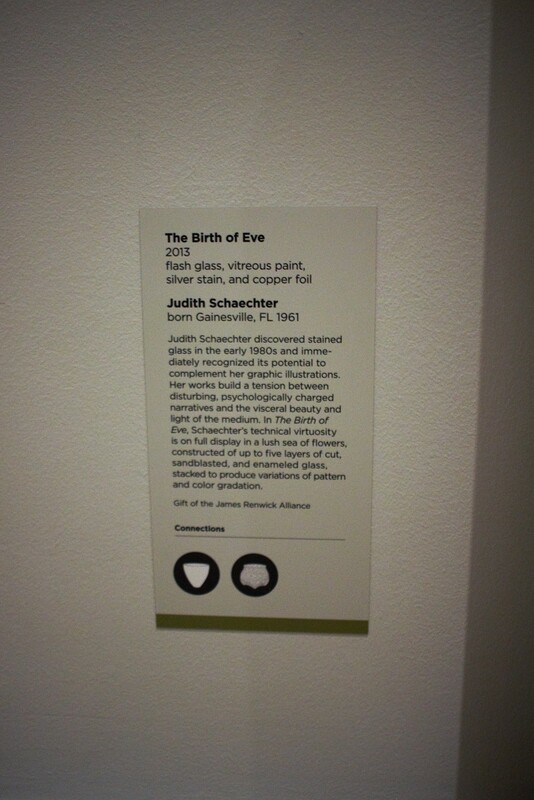 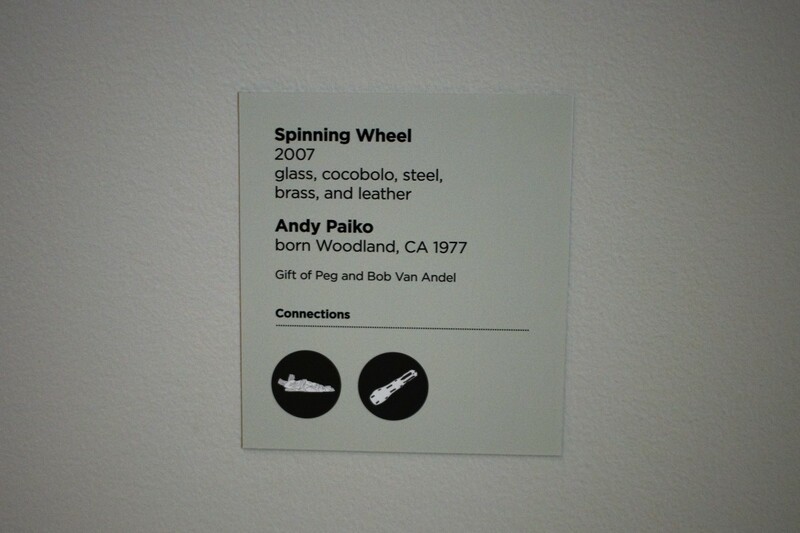 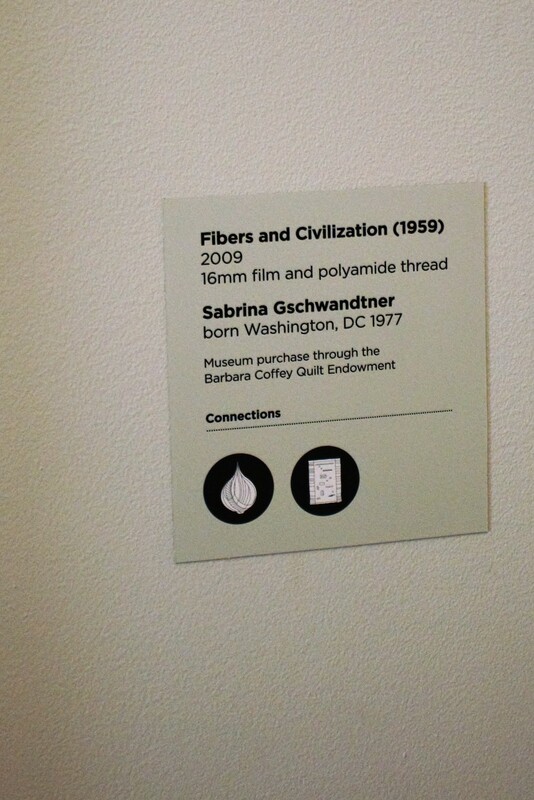 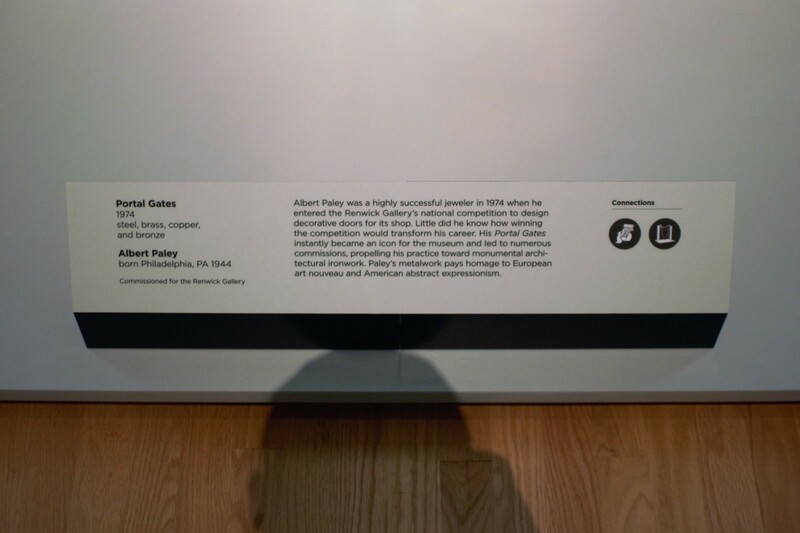 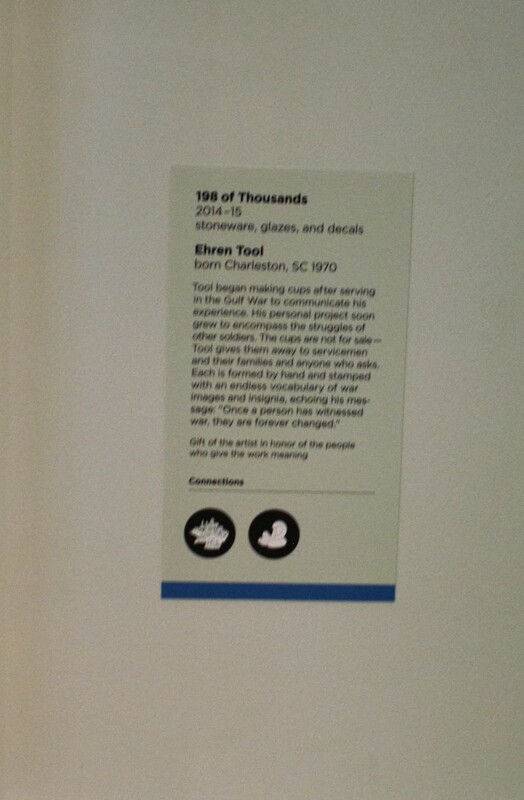 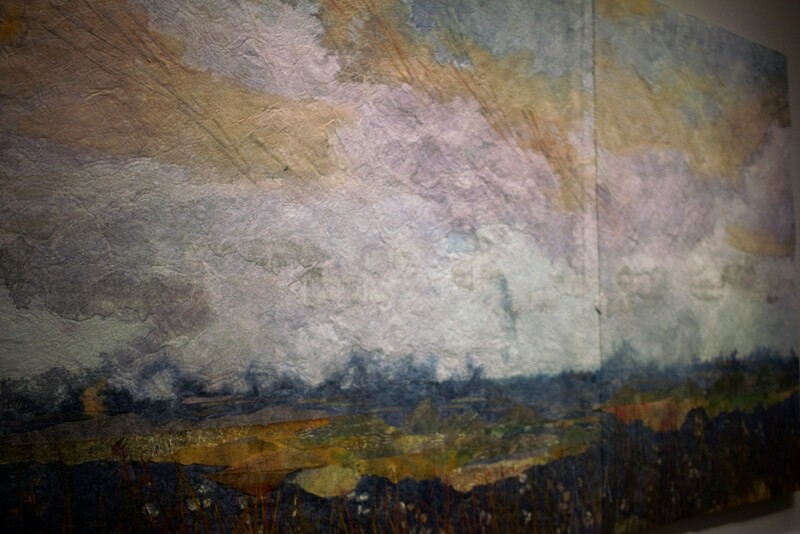 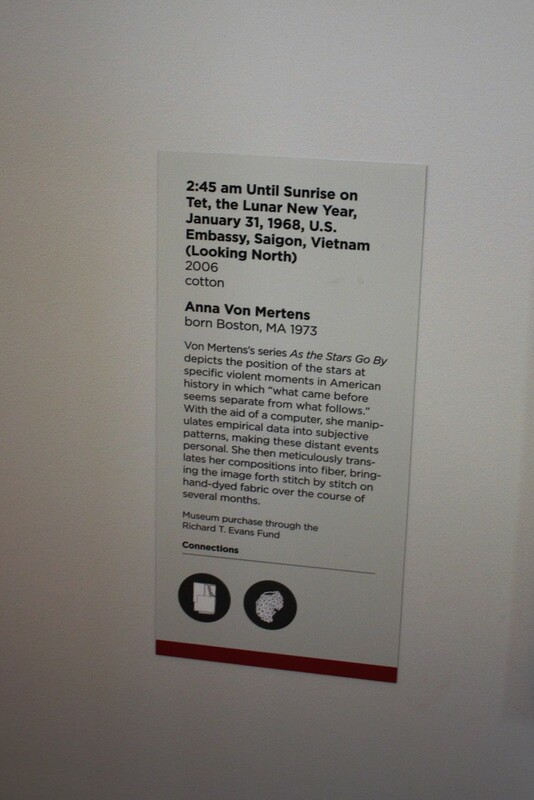 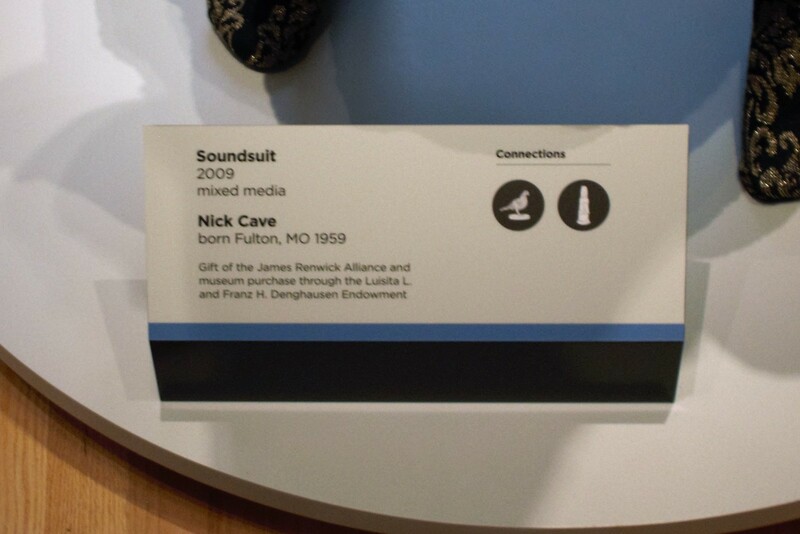 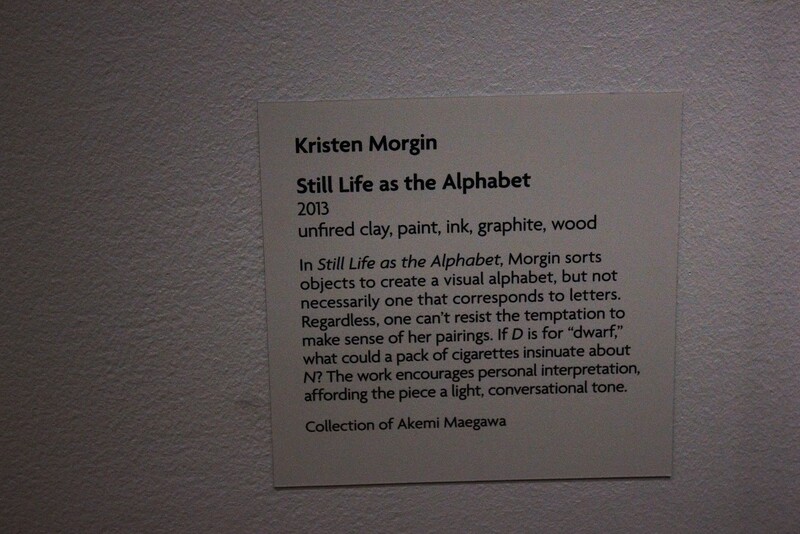 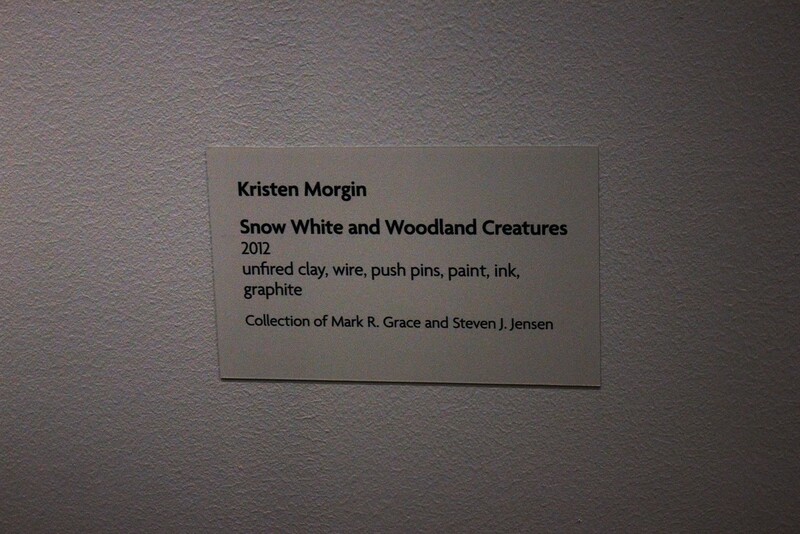 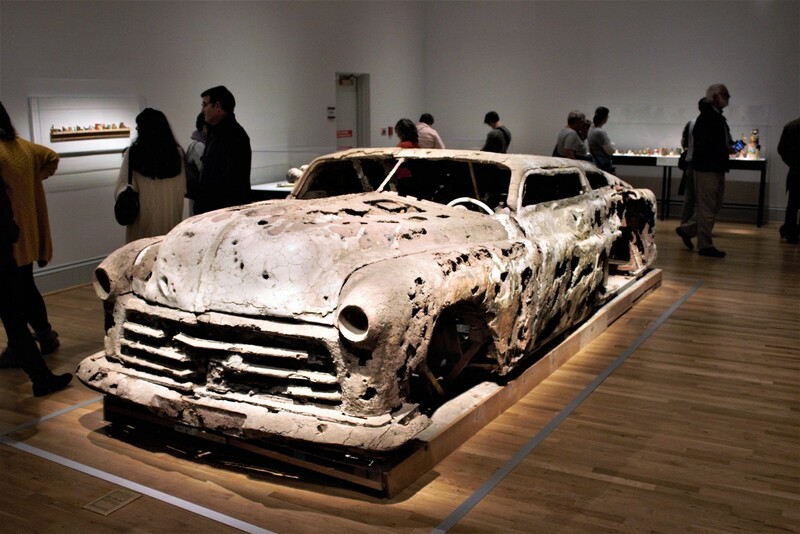 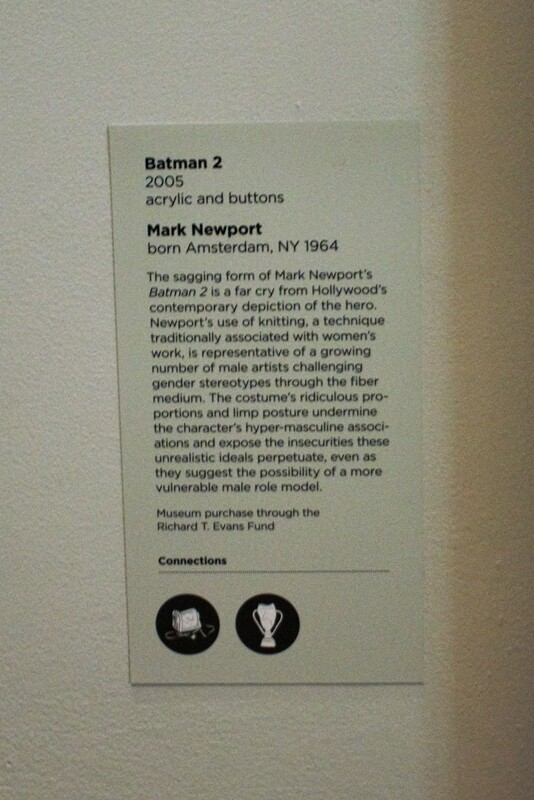 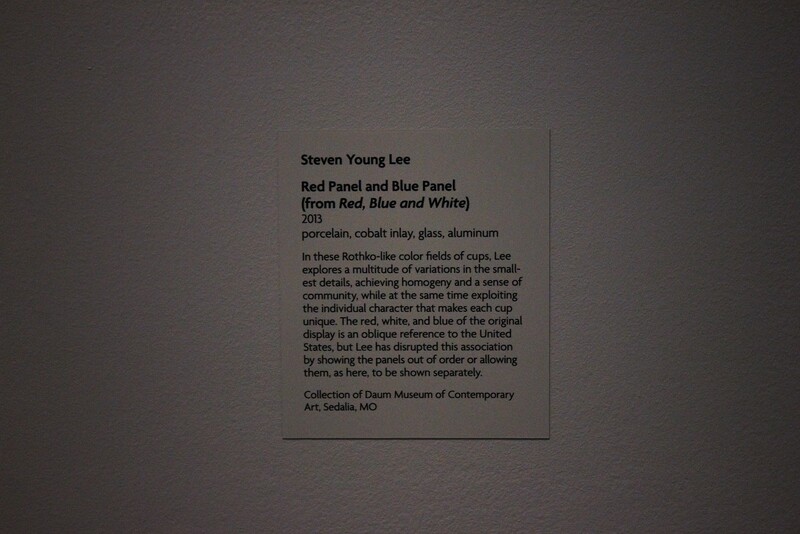 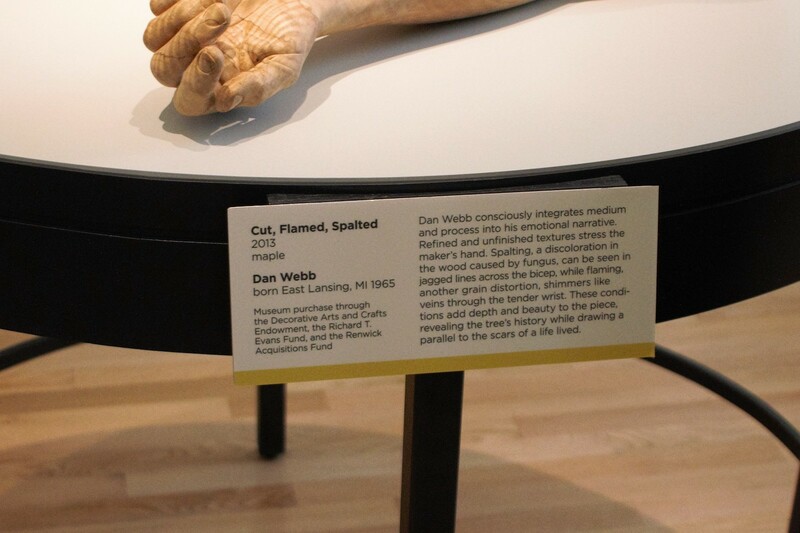 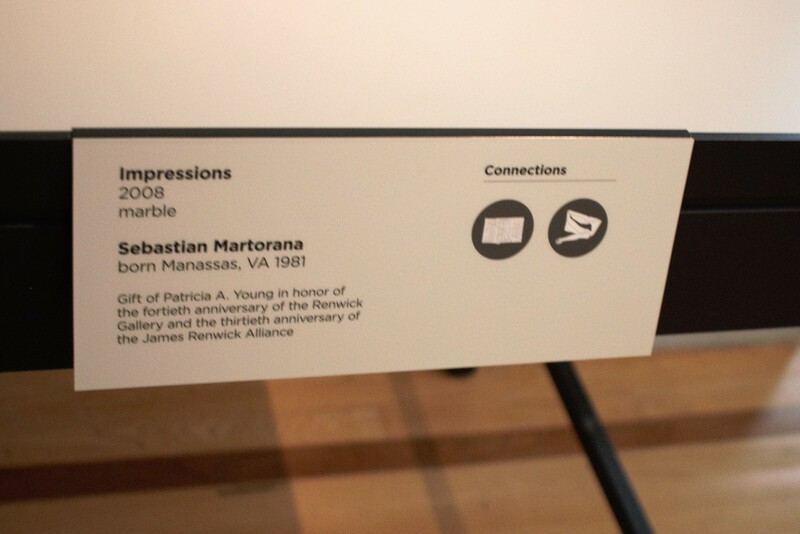 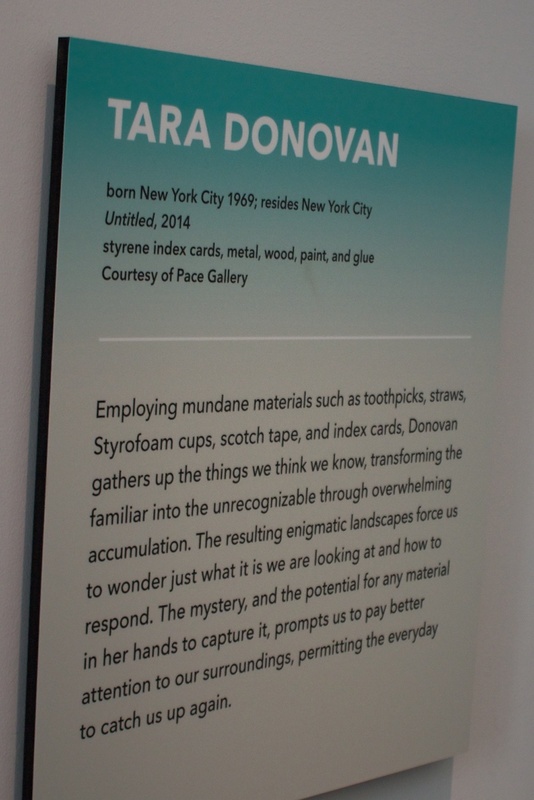 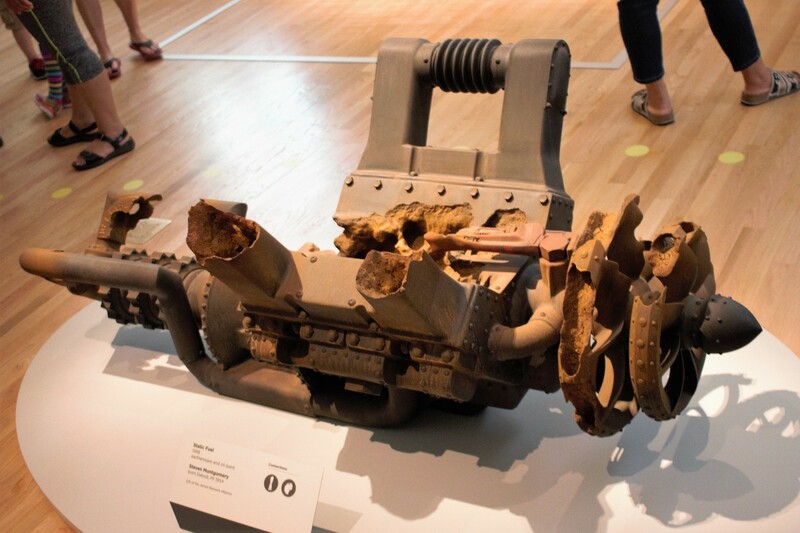 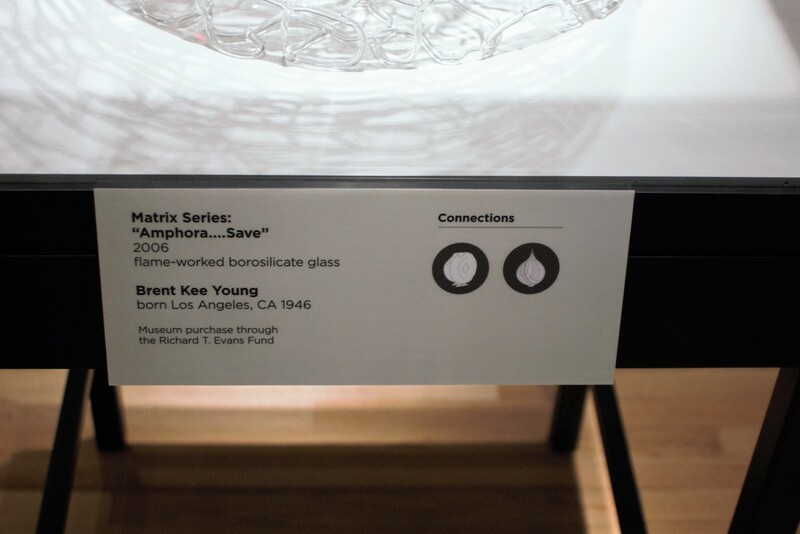 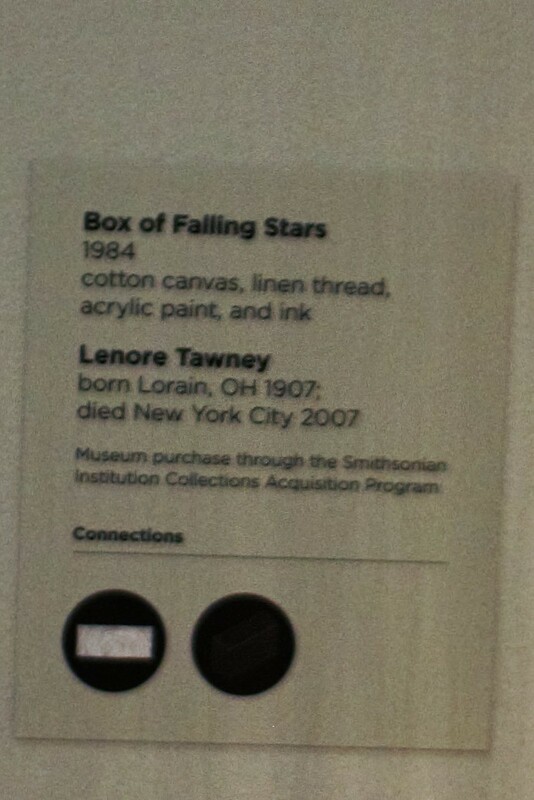 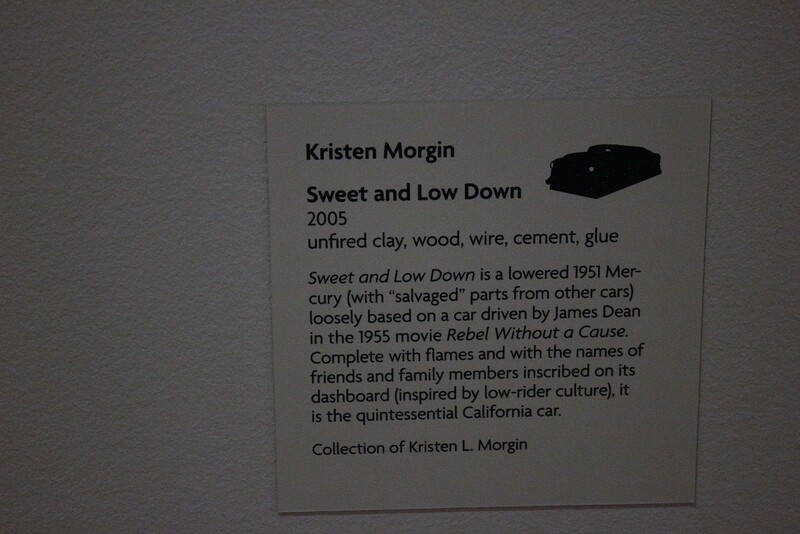 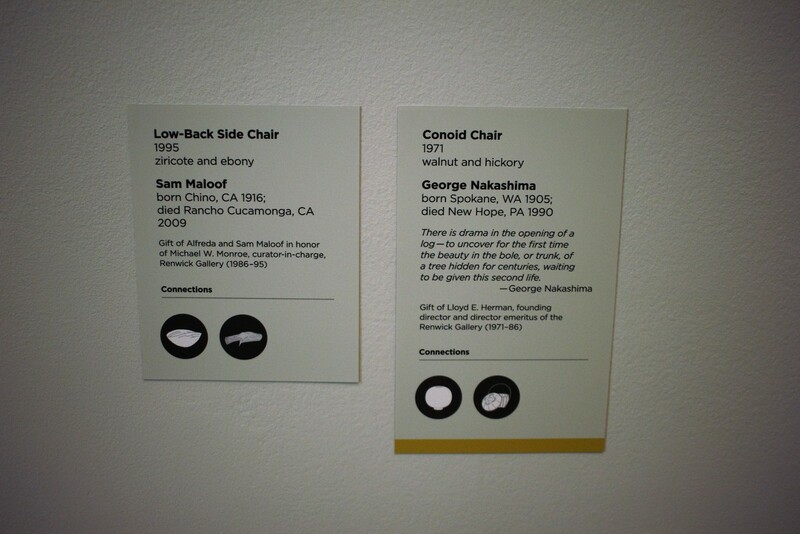 It is an interesting mix, even if it is hard to see the connections the curator does. 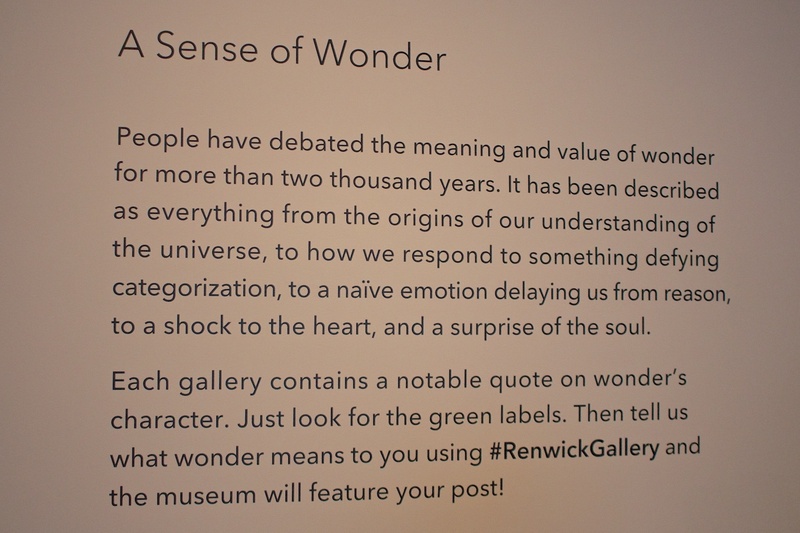 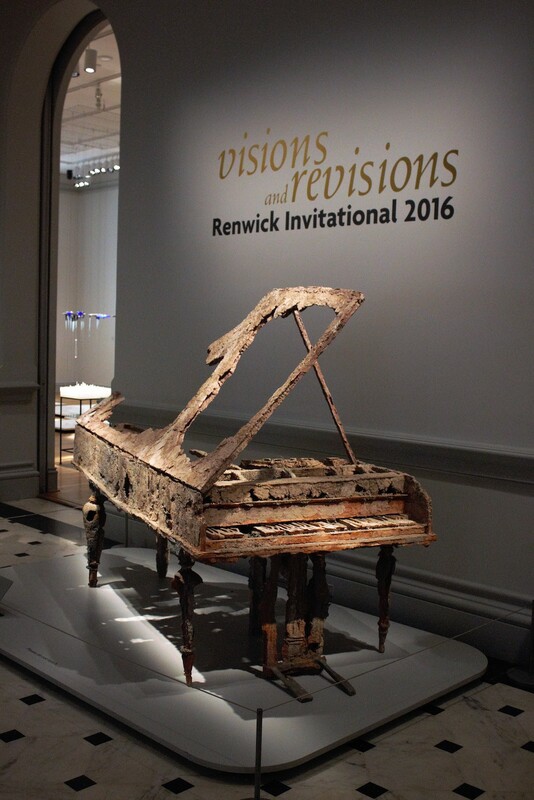 Keep an eye on the special exhibitions at the Renwick, they occasionally have great temporary shows, the best of which was Wonder. 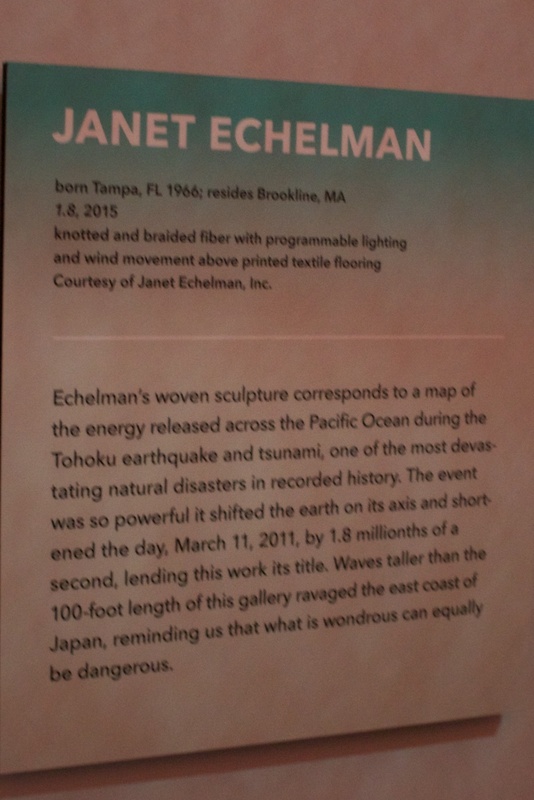 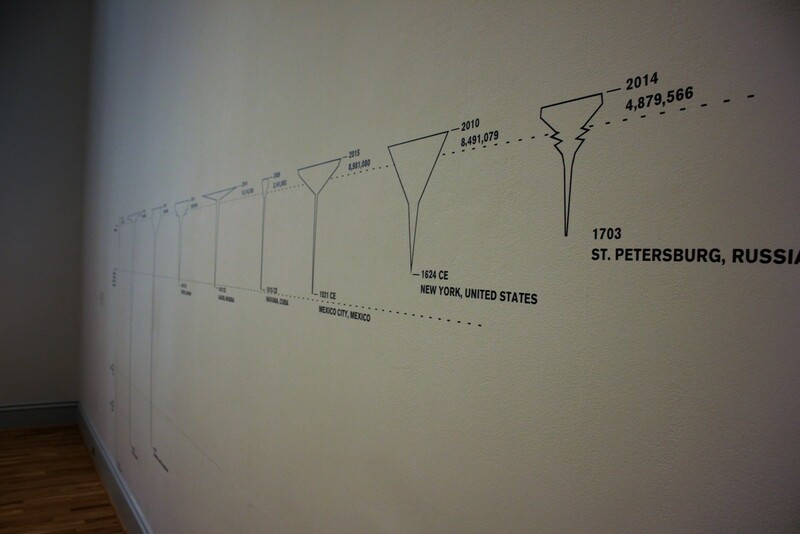 We don't normally highlight past exhibits, but Wonder was a spectacular series of large installations and accounts for several of the photos below. 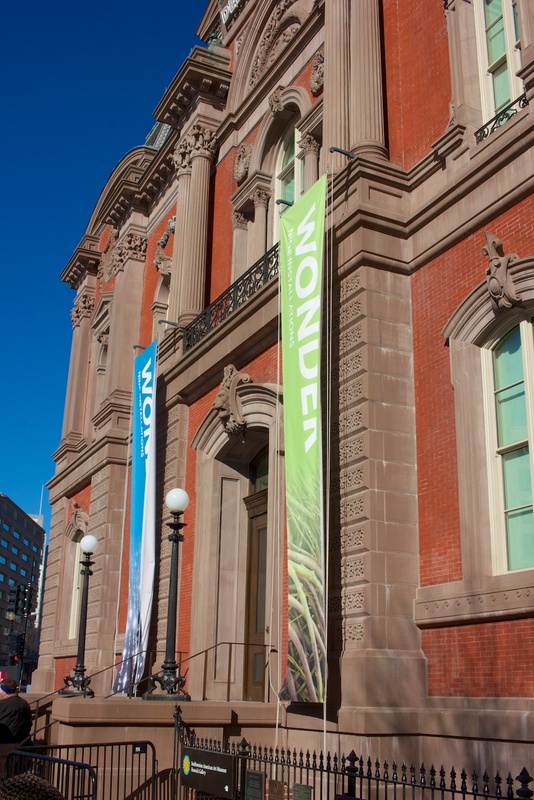 It's unlikely that something as gigantic as Wonder will return, but Renwick is certainly willing to change frequently.